Busy streets, glowing neon, and the enticing smell of food on every corner lure us into spending time in the larger cities of Japan. However, after an enjoyable visit, we tend to get a bit weary of the crowds and seek time away from the urban landscape. 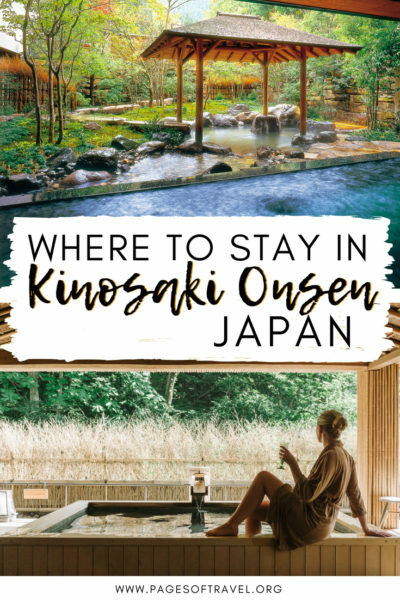 One of our favorite places in Japan to wind down is a small traditional hot springs town that is popular with domestic tourists called Kinosaki Onsen. Whether you are planning a trip to Japan or are in the midst of currently visiting Japan, we highly recommend traveling a few hours to the northern part of the Hyogo Prefecture. Upon arrival, the romantic charm of Kinosaki Onsen will greet you with a beautiful canal winding through the middle of the sleepy town. Cherry trees emerge from the canal bank beckoning you into the town like a weary traveler. 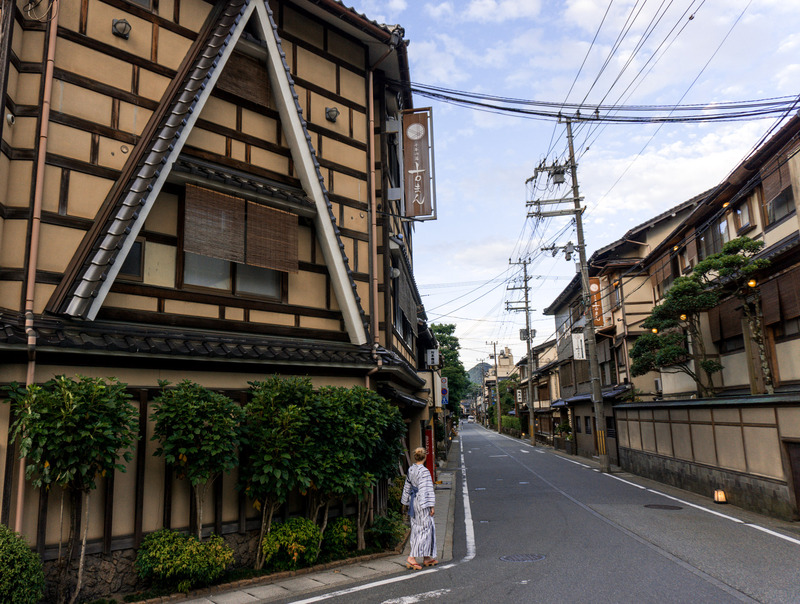 You will often see people strolling the streets wearing decorative yukata (a light cotton kimono) and hear the subtle clink of geta (traditional wood sandals) on the cobblestone road. 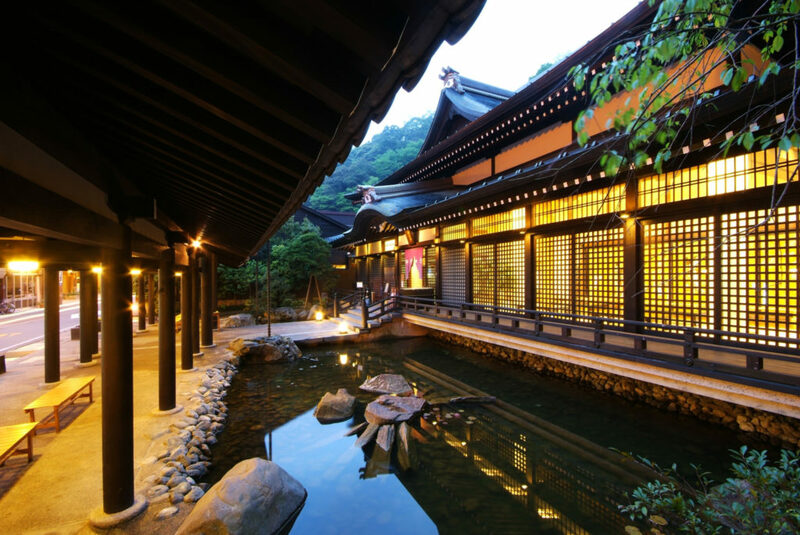 While visiting, you should consider staying the night in one of the opulent Kinosaki onsen ryokan, which is a traditional hot springs inn. On our last trip to Japan, we were fortunate enough to stay at the absolutely beautiful Nishimuraya Honkan, which is a Relais & Châteaux property that has been praised by Lonely Planet Japan as the best onsen ryokan in Japan. 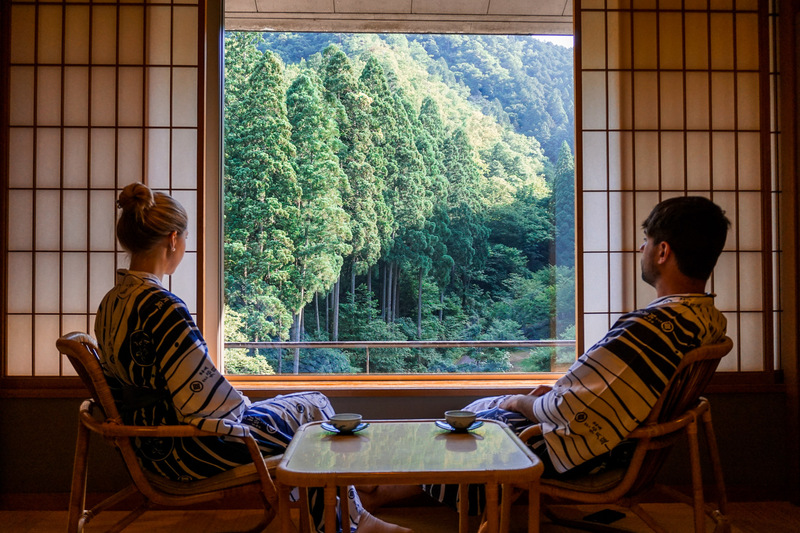 Our ryokan room at Nishimuraya Honkan was unbelievably romantic with an outdoor open-air private onsen and the kaiseki dining experience was unlike any other we’ve had! 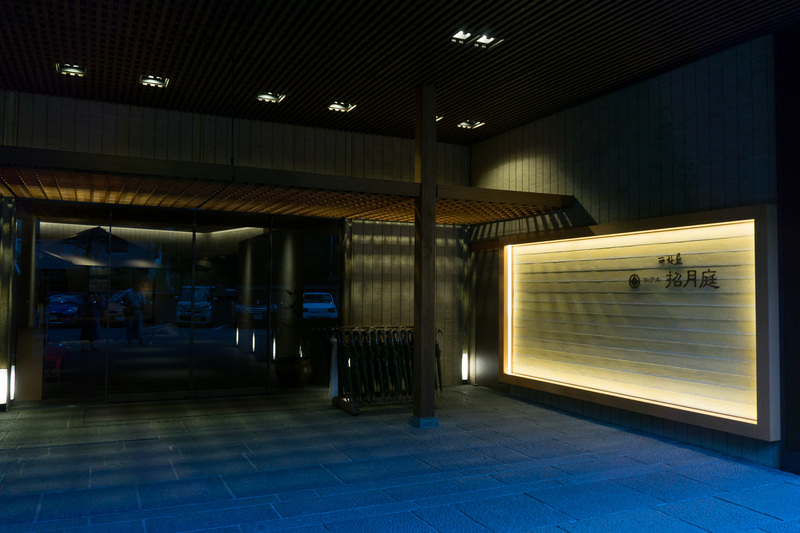 On our second visit, we made every effort to return to Kinosaki Onsen and crafted plans to stay at Nishimuraya Hotel Shogetsutei – which is the sister property of Nishimuraya Honkan. 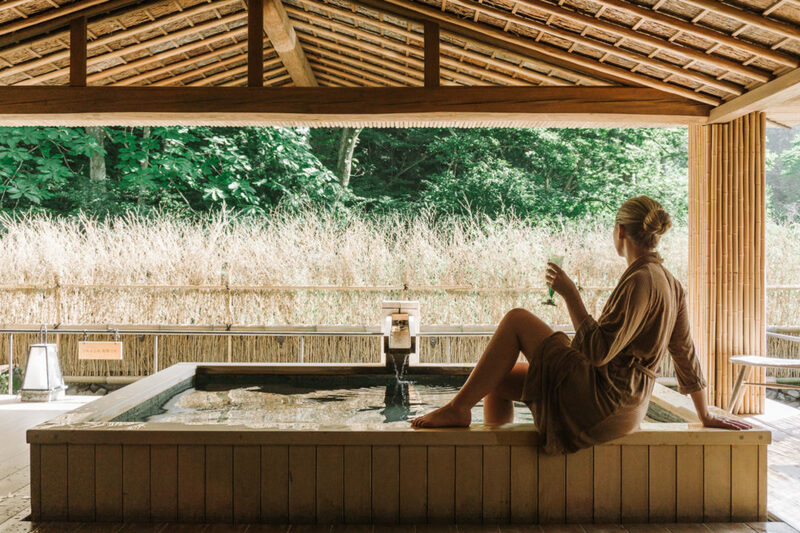 Nishimuraya Honkan provides more of an intimate stay for couples or small groups and is great for honeymoons, anniversaries or special occasions for the ultimate luxury. 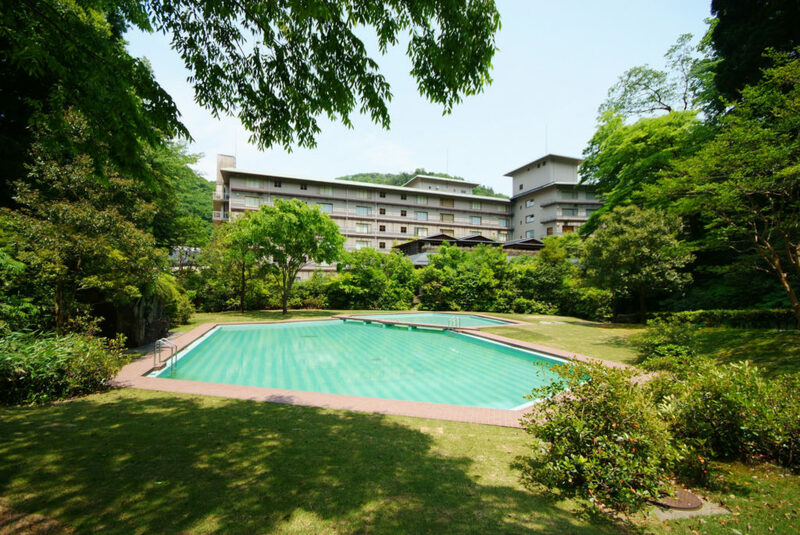 On the other hand, Nishimuraya Hotel Shogetsutei is a much larger property that has all the luxuries of Nishimuraya Honkan but also has more options for a greater scope of travelers. 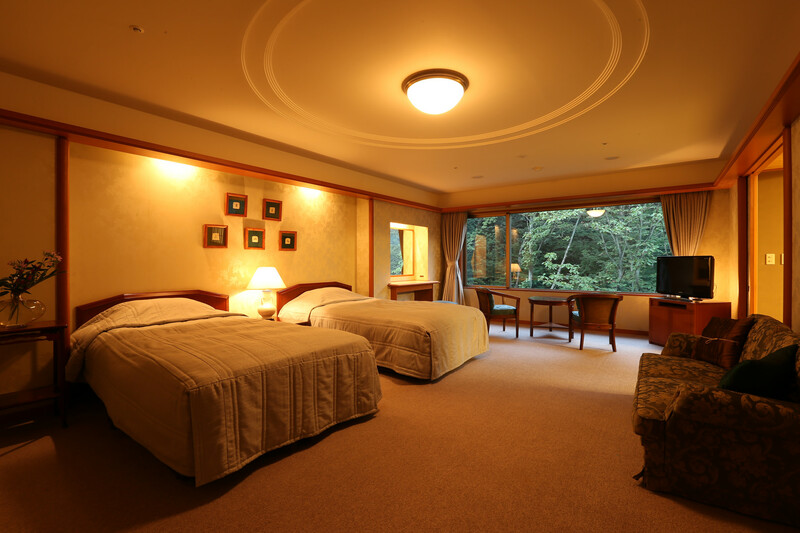 Nishimuraya Hotel Shogetsutei is perfect for families, couples, and large groups, or those who are looking for a Japanese onsen ryokan but with western-style accommodation options. Whenever we stay at a luxury hotel property we often ask ourselves, what is it that differentiates travel accommodations from one another? 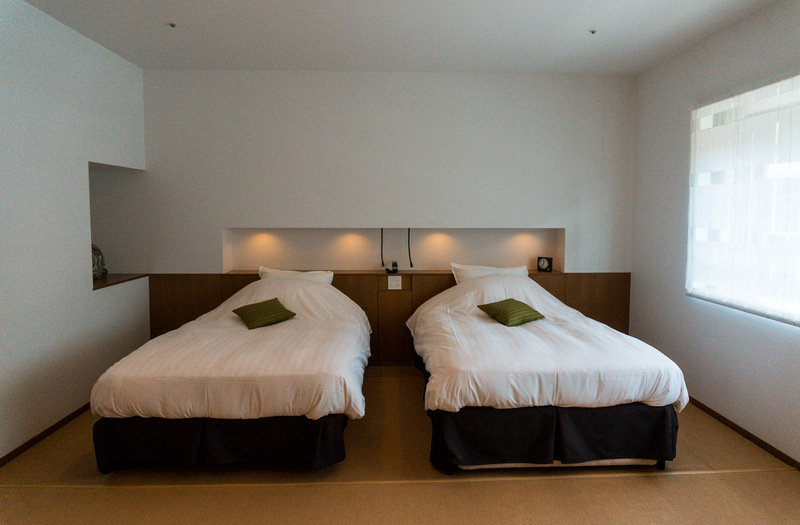 Nishimuraya Hotel Shogetsutei answers that question in bold, underlining the details. 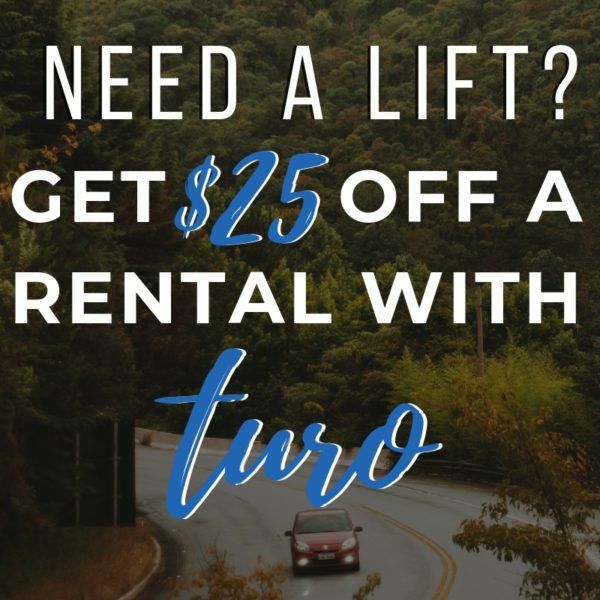 From the second you arrive the service is impeccable, you feel like royalty as you enter the hotel with greetings from all staff as they graciously take your luggage and explain the many features of the property. 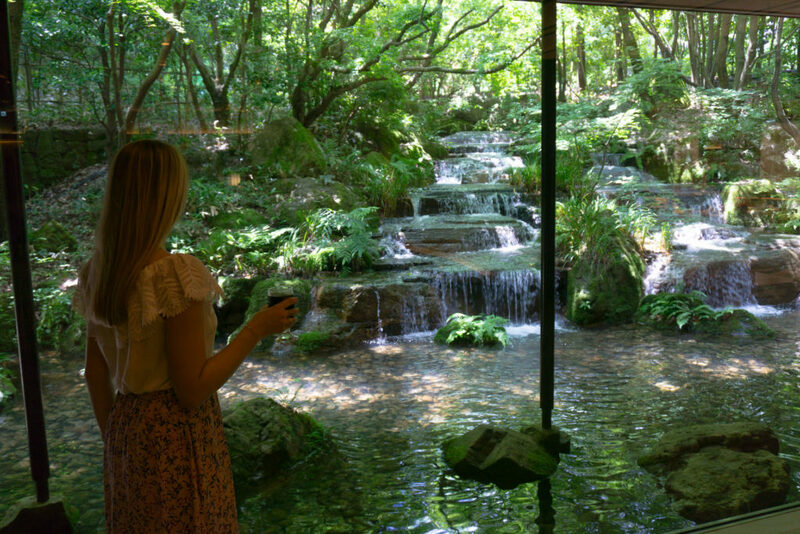 After walking a few steps further into the hotel, all of your senses are taken far away from the chaos of everyday life by the light scent of soothing incense and the stunning view through a wall of glass that overlooks a magnificent water feature and garden. 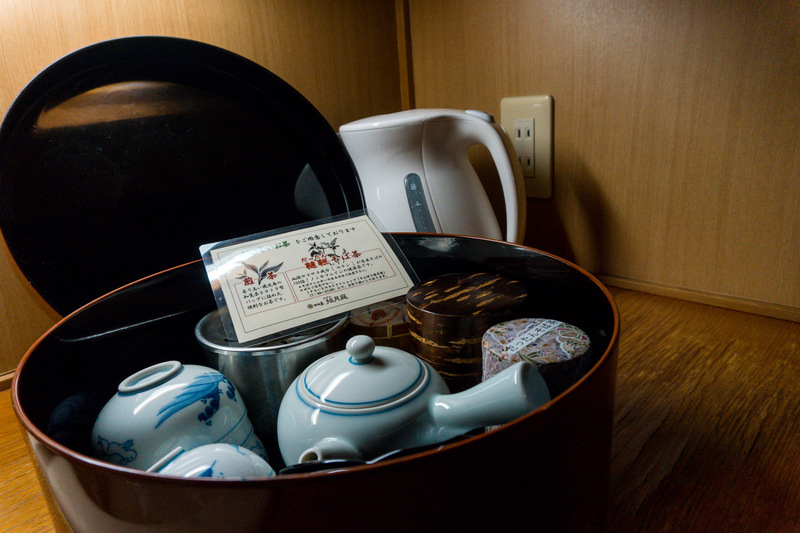 Everything from the stitching on the tatami mat to the fresh tea brought to your room has been prepared in such manner to give you every minute as an experience of a lifetime. Disclaimer: We want to thank Nishimuraya Hotel Shogetsutei for inviting us as their guests. As always, all opinions are our own. 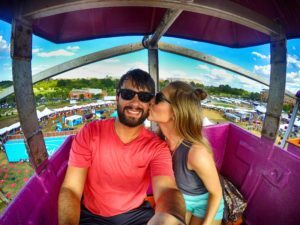 Some links in this post contain affiliate links. We may receive a small commission if you make a purchase after clicking on a link. However, we only recommend products that we trust and love. 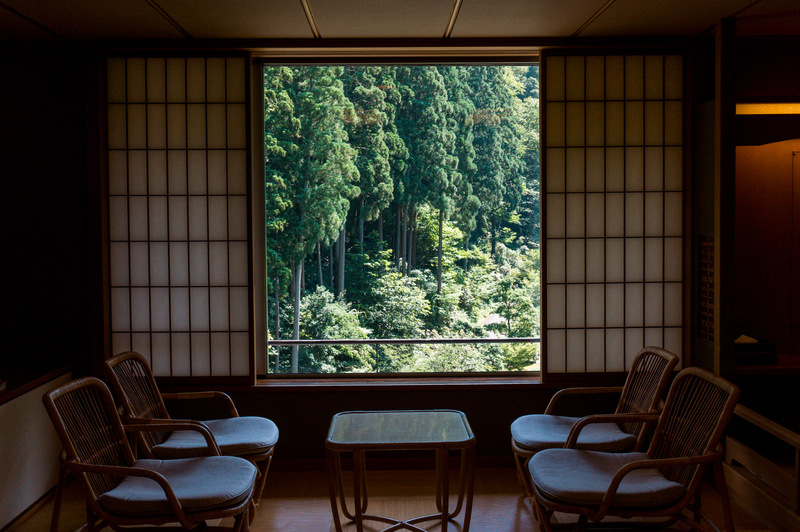 Nishimuraya Hotel Shogetsutei is the largest Kinosaki Onsen ryokan style hotel and is surrounded by a lush 165,000 square meter forest filled with beautiful pines. From mid-July to late August, you can enjoy swimming in the outdoor pool that is surrounded by the beauty of the forest. The breakfast area has a wonderful view of the massive trees that can be particularly enjoyed from the outdoor patio seating. For those looking to immerse themselves in the outdoor beauty of Kinosaki Onsen, the mountain behind Nishimuraya Hotel Shogetsutei has some hiking areas that allow for a picturesque view of the town. If you hike a little further south, be sure to check out Onsenji Temple on your way back down the mountain. But, my favorite aspect of the hotel grounds has to be the water feature seen from the lobby. You can grab an afternoon snack or drink from the bar and enjoy the tranquil water from the comfort of indoors. With the hotel grounds being as glamorous as they are, we expected nothing less from the rooms at Nishimuraya Hotel Shogetsutei. 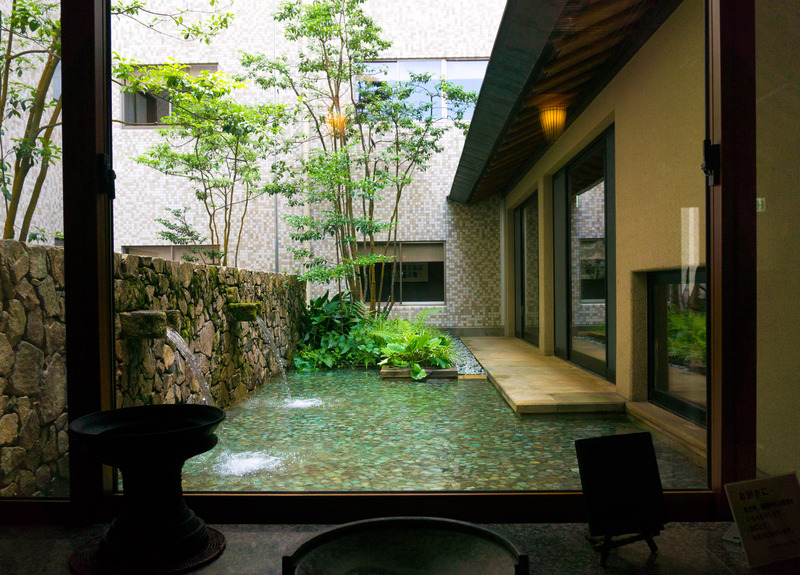 There are two sides of the hotel where rooms are located, one offering a view of the “garden” which reflects the four seasons, and the other the “moon” side which faces the Otani River giving a view of the road in front of the ryokan, buildings across the street, and a glimpse of the mountains. 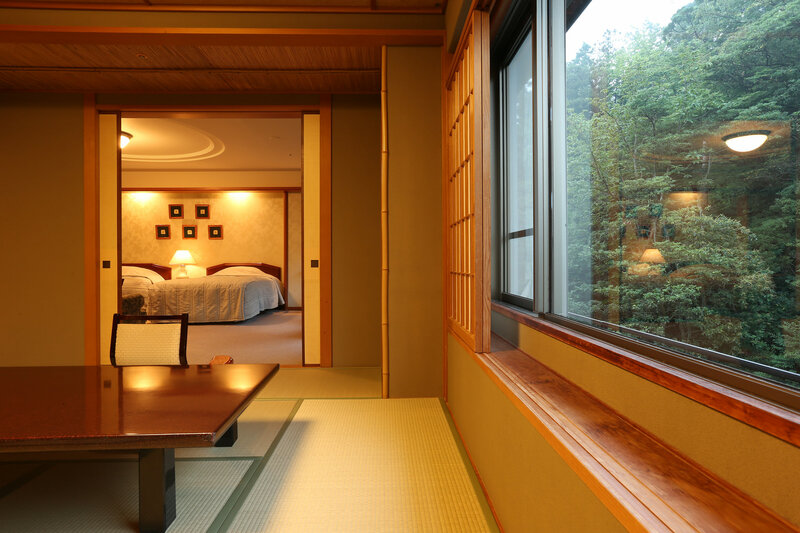 There are 98 guestrooms at Nishimuraya Hotel Shogetsutei which makes this ryokan hotel the largest in Kinosaki Onsen. 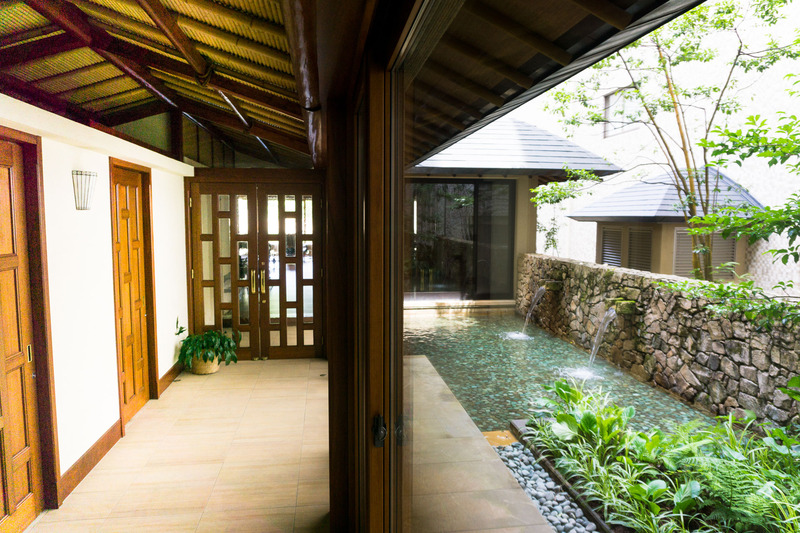 84 of these rooms are Japanese-style guestrooms including one suite and 8 with private open-air baths. If you would prefer to have a Western-style guest room, Nishimuraya Hotel Shogetsutei has 12 to choose from and two Japanese/Western-style hybrid rooms. 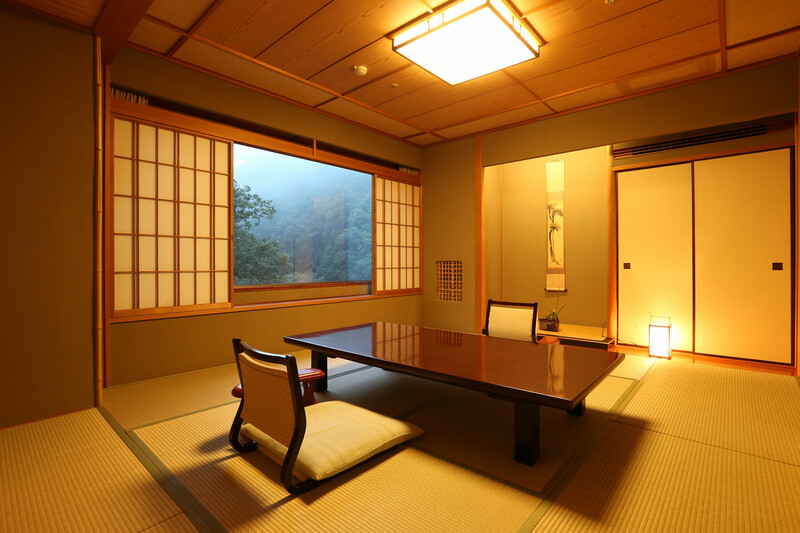 There are four different styles of Japanese-style rooms at Nishimuraya Hotel Shogetsutei. 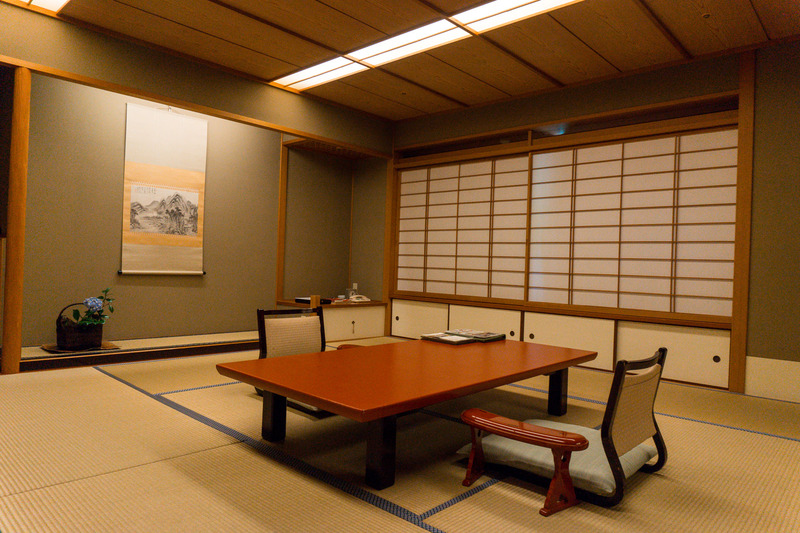 The first being the Japanese-style Standard Room which the smallest of the Japanese-style rooms, it can host 1-4 people comfortably. The Japanese-style Superior Room is the one we stayed in while at Nishimuraya Hotel Shogetsutei and it provided a larger space than the standard room. The room also had a few special touches to differentiate itself from the standard room such as the bathroom and sitting area being larger, as well as a powder room area with a large vanity. 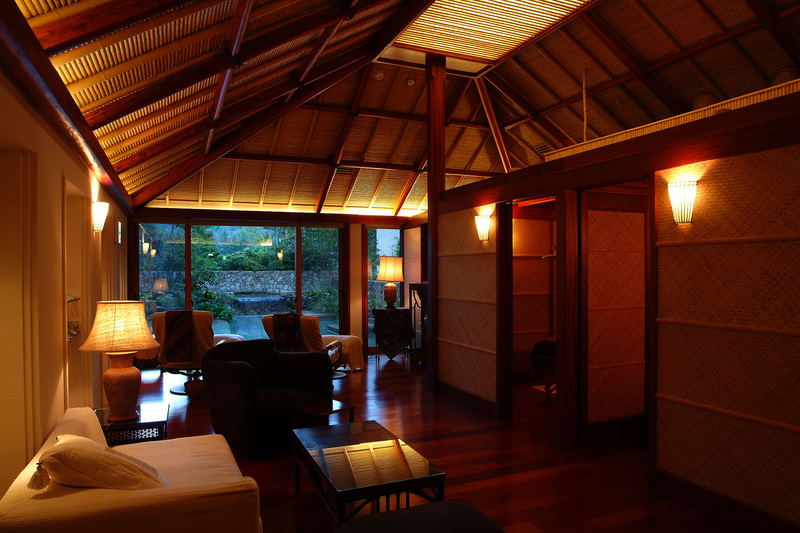 Each superior room also provides a fantastic view of the mountain forest or the base of the mountain forest. For a more intimate or romantic setting, you can also look at booking the Japanese-style Superior Room with Open Air Bath. 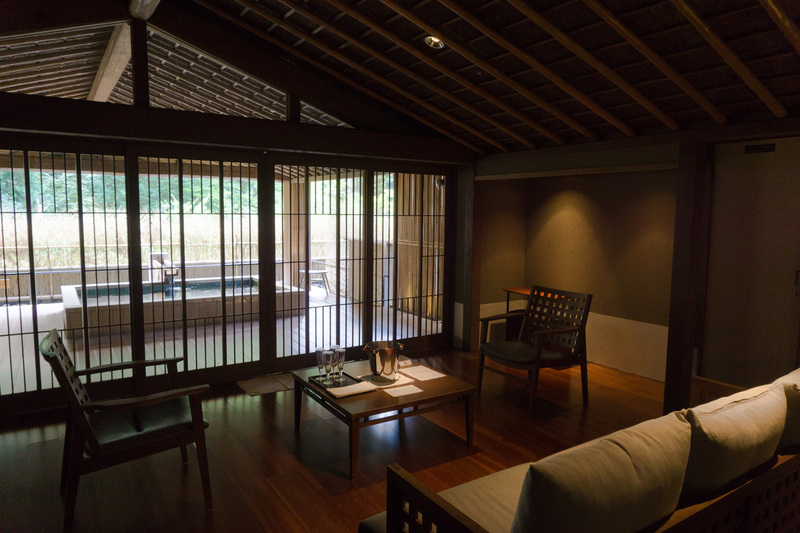 This room is very similar to the regular superior room but it obviously has one major difference – the private open-air onsen. 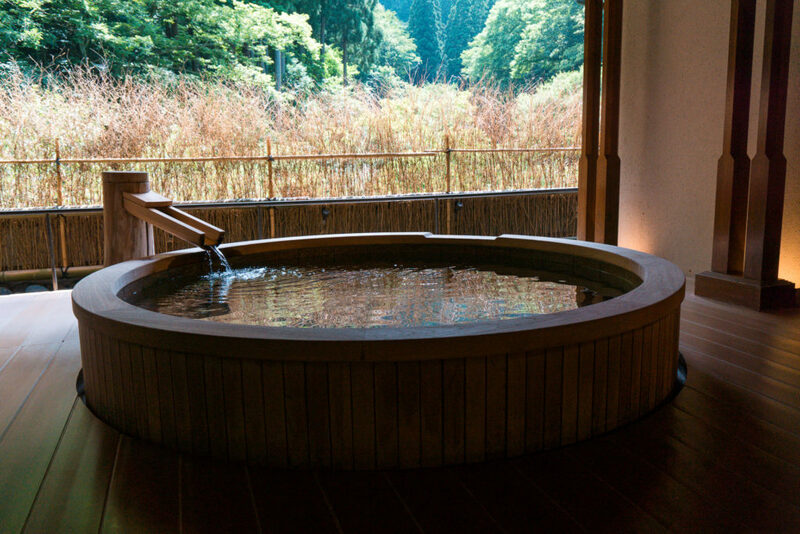 This is a nice touch for those who are looking for a romantic getaway, a family trip, or those who might feel shy about bathing in the ryokan onsen baths. 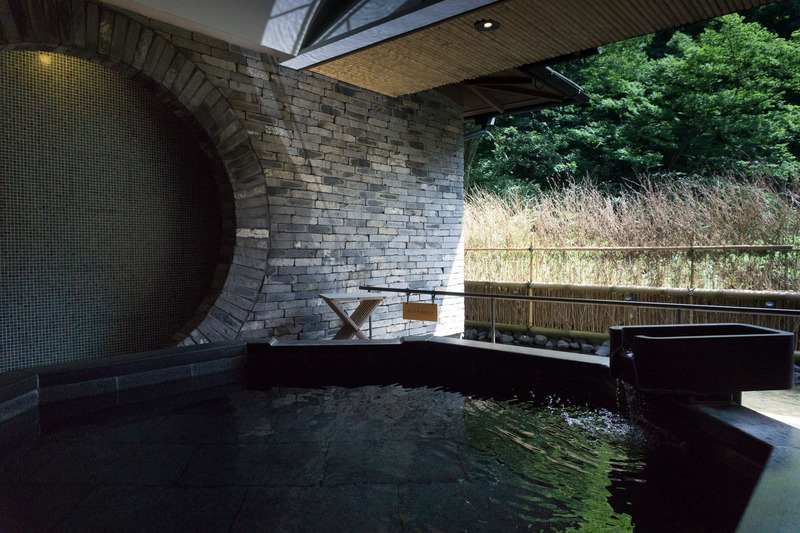 While the water may not be actual spring heated water, the private onsen is ensuite and allows you to enjoy it whenever is most convenient for you for as long as you like! 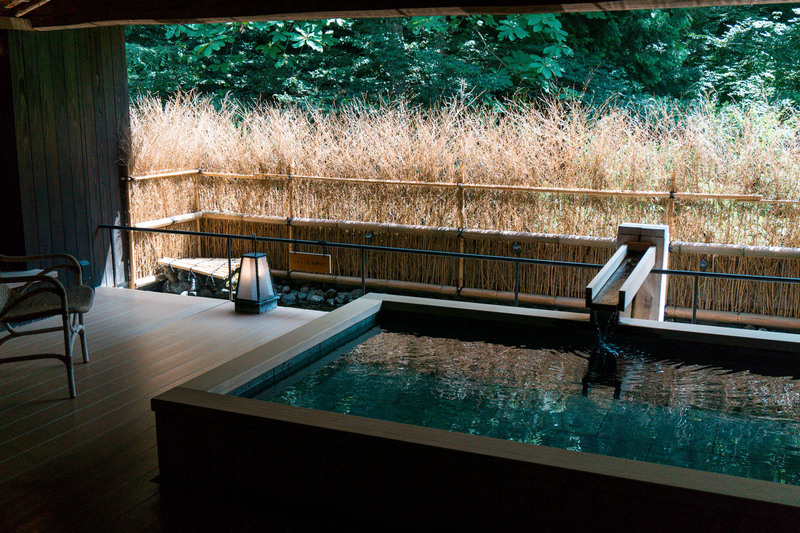 For the ultimate luxury, the Keigetsu Special Room with Open Air Bath will blow you away. There is only one of this particular suite in the entire hotel and it is a once in a lifetime experience with its own garden space, a large guest room and additional living room space. The picturesque stone bath is ensuite and offers breathtaking views from the privacy of your room. 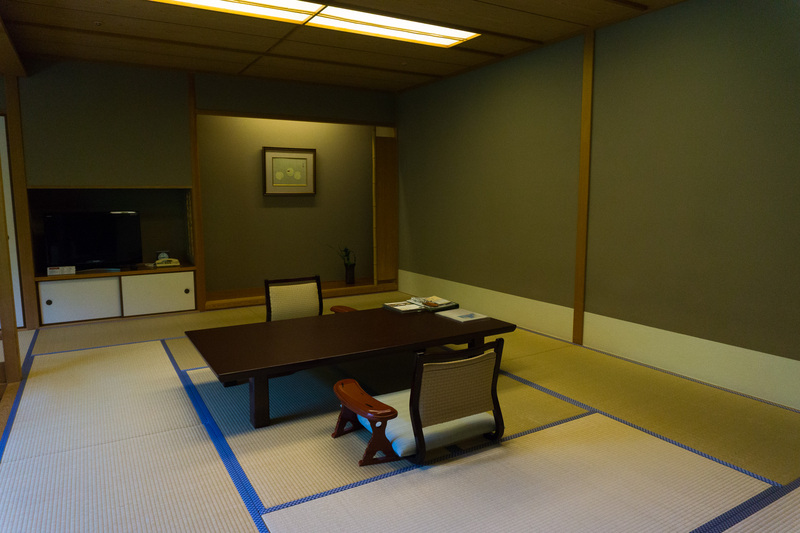 If you would prefer to have a western-style bed versus a futon on a tatami mat there are three different western-style rooms you can choose to stay in at Nishimuraya Hotel Shogetsutei. 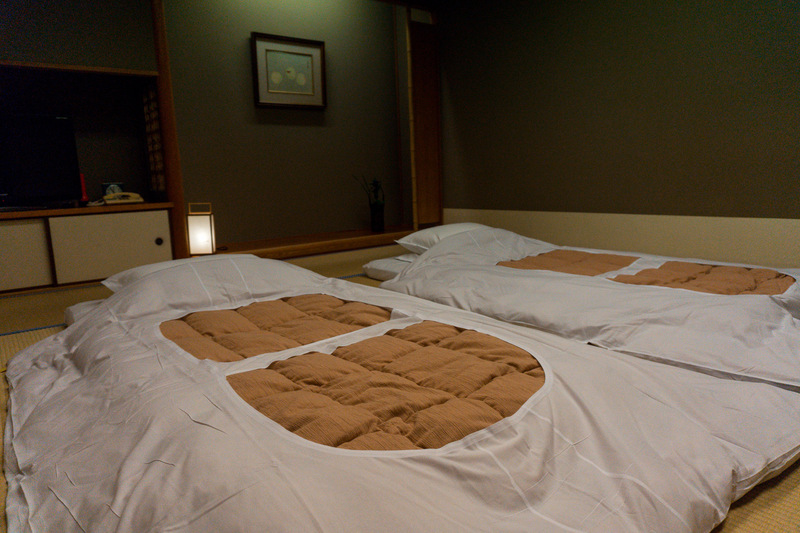 The first is the Comfort Twin which can host 1-3 people. A modern designed western style with twin beds in a traditional style ryokan offers an economical choice with the best of both worlds. 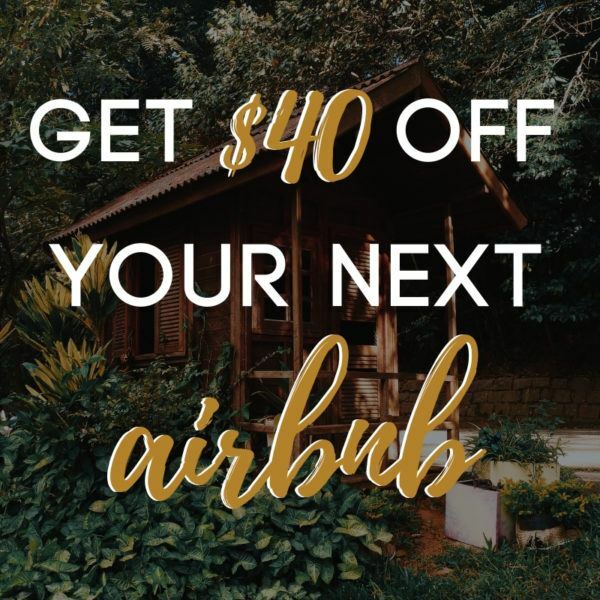 These rooms include an ensuite bathroom (shower only) and private restroom, comfortable western style seating, and a view of the town. The second is the Universal Twin. The Universal Twin room is very similar to the Comfort Twin room but it has been altered to make it wheel-chair accessible and barrier-free. 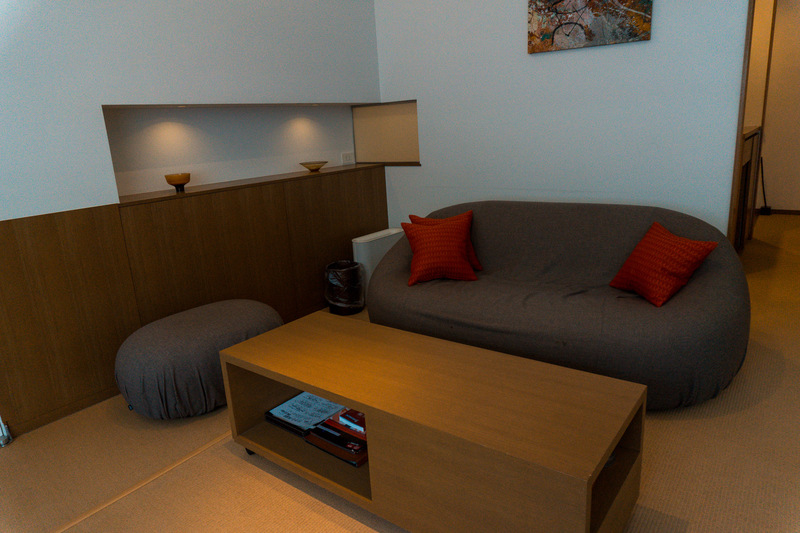 This room provides all the comforts of the comfort twin, with the ability to host 1-3 people. Last is the Comfort Suite, which is the most luxurious of the Western-style rooms. 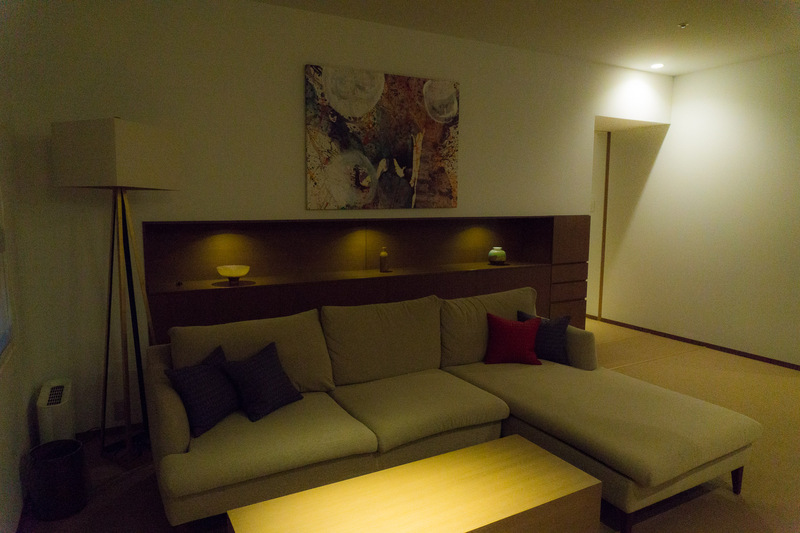 It also felt like a Japanese apartment with a large living space, a walk-in closet, and dining area. Almost twice the area as the comfort and universal western style rooms, the comfort suite offers all the familiar comforts of western style lodging with all the amenities of staying in a ryokan. 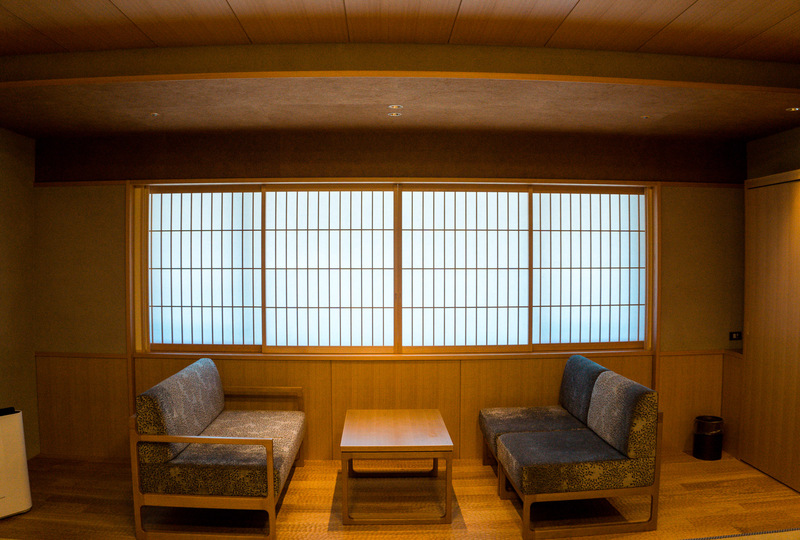 Each of these rooms you will find to be similarly laid out to hotel rooms in the United States but with the added luxury of still staying in an onsen ryokan. 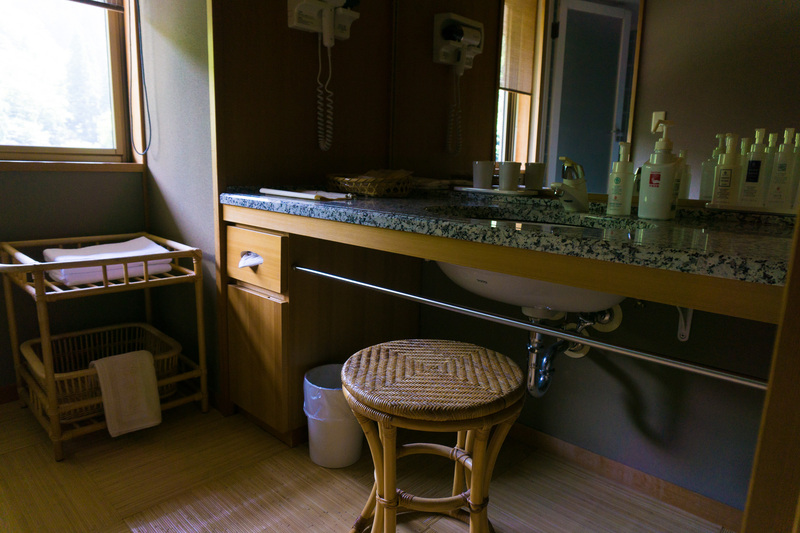 All of the western style rooms have an ensuite shower/bath and toilet, but you still have access to the ryokan onsen baths found on the first floor. 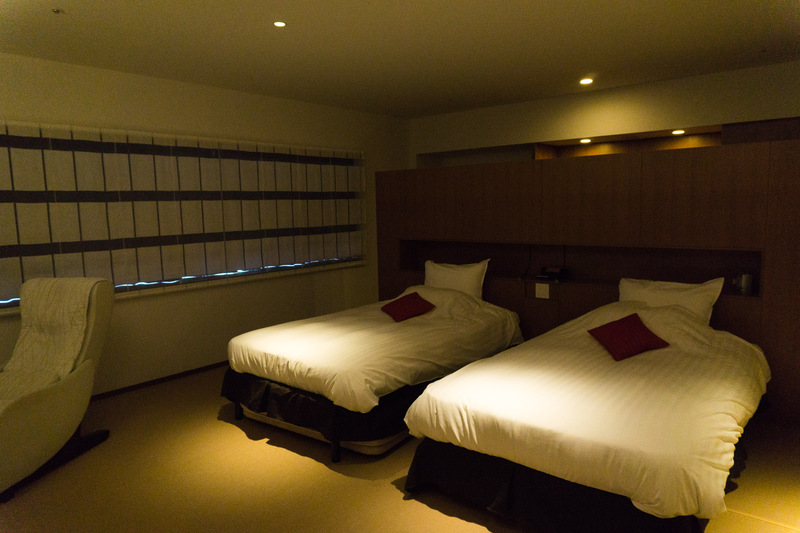 If you would like to experience both styles of rooms or are traveling with your family, the hybrid room at Nishimuraya Hotel Shogetsutei might be what you’re looking for! It can host 1-5 adults and has two western-style beds along with three futons that can be prepared in the Japanese-style bedroom. 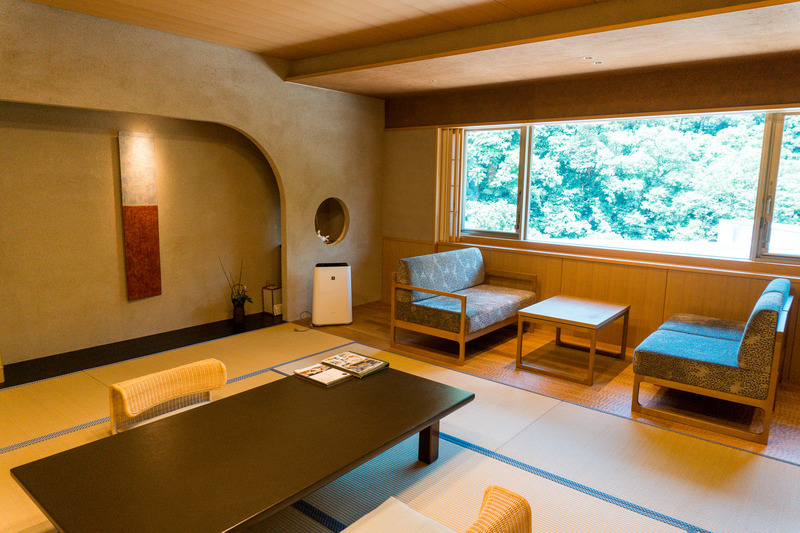 Nishimuraya Hotel Shogetsutei offers complimentary Wi-Fi in all of the rooms, a shuttle bus transfer to and from Kinosaki Onsen Station, and a Kinosaki Onsen hot spring pass to use at any of the public hot springs in town. 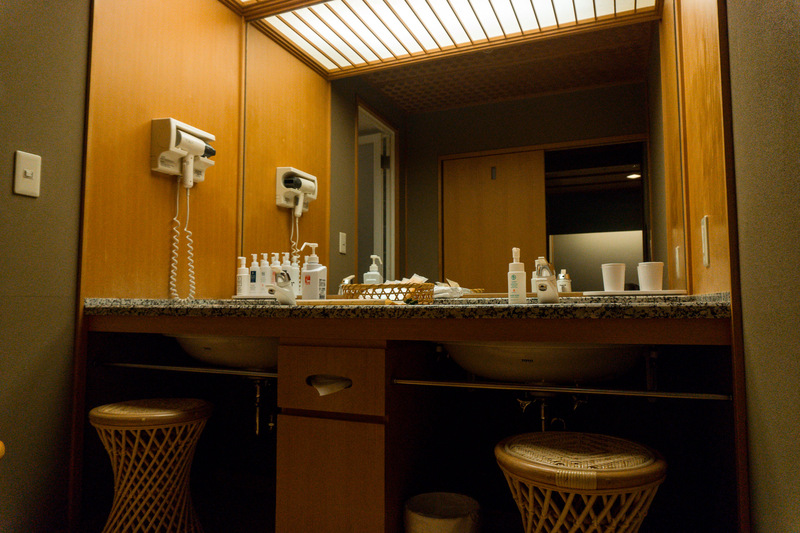 A variety of amenities such as high-quality shampoo and conditioner, toothbrush and toothpaste, razors, shower caps, yukata and seta/geta (indoor/outdoor sandals). 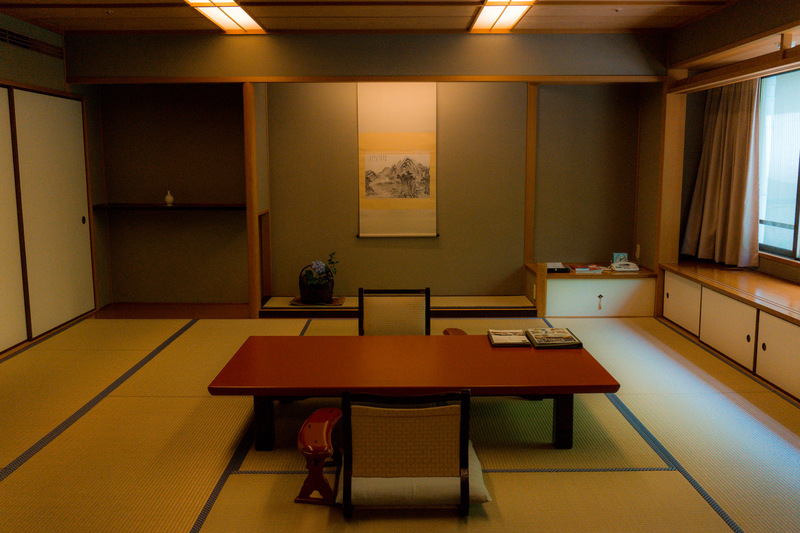 As we said previously, we stayed in a Japanese-style Superior Room during our stay. 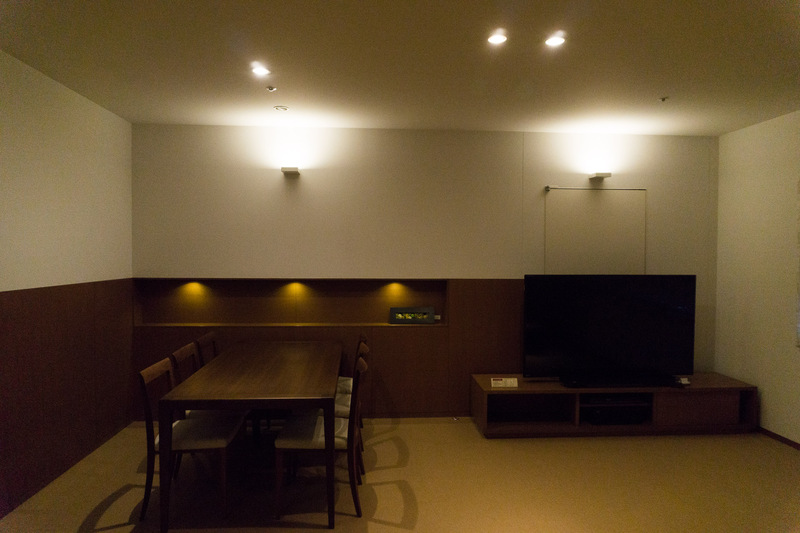 We have stayed in many hotels, ryokan, Airbnb, hostels, etc while traveling for three months in Japan and this room was bigger than even some of the apartments we’ve stayed in! Later we found out that the Japanese-style Superior Room can actually accommodate 1-6 people comfortably which makes it not only great for a romantic couples getaway but a family getaway as well. Upon checking in to our room we started unpacking a few items and found many different sizes of Yukata in our closet, we quickly put them on and heard a knock on the door. Opening it, we were delighted to find a staff member who had prepared hot tea, a drinking vinegar, and a small sweet for us. It was a nice touch before we went to our scheduled private onsen experience. After our onsen experience (more on that in a bit), we decided to walk around the town of Kinosaki Onsen, stopping in a few different stores and public hot springs along the way. 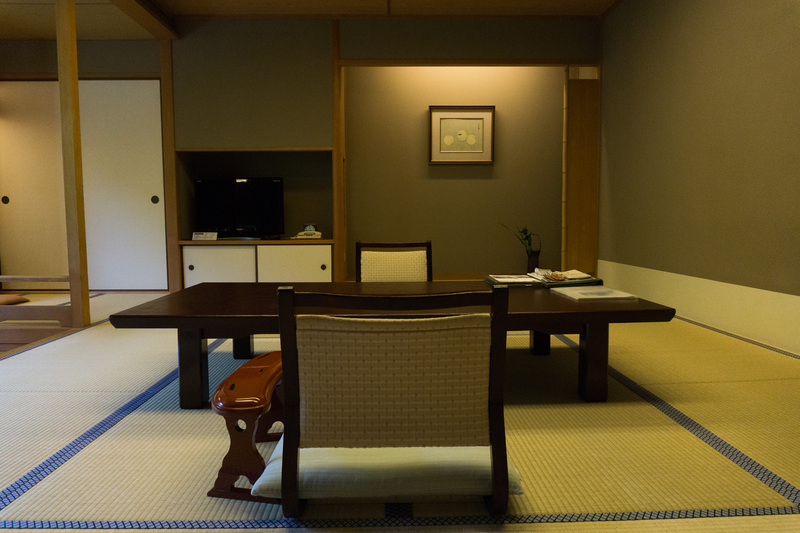 When we returned to Nishimuraya Hotel Shogetsutei we immediately noticed that our dining table and chairs had been replaced by our futons. Anxious to try them out we laid down and were surrounded by the most comfortable futon and pillow that we’ve ever had in a ryokan. The pillows are even available to purchase which led us to believe that many guests had enjoyed them as much as we did! 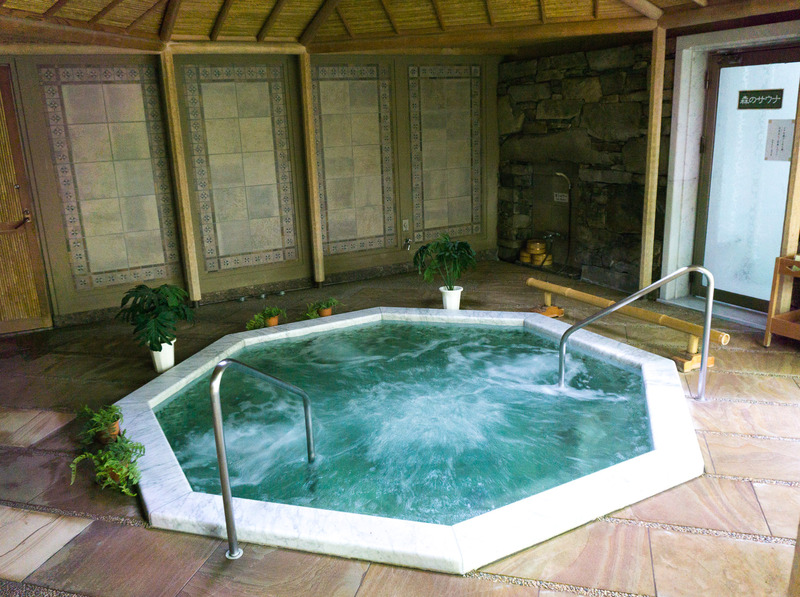 While we could have stayed out a little later and enjoyed more of the town’s public hot springs, we decided to stay in for the rest of the night simply enjoying this beautiful room and all the amenities at the hotel. Of course, no stay at a ryokan would be complete without amazing local cuisine! 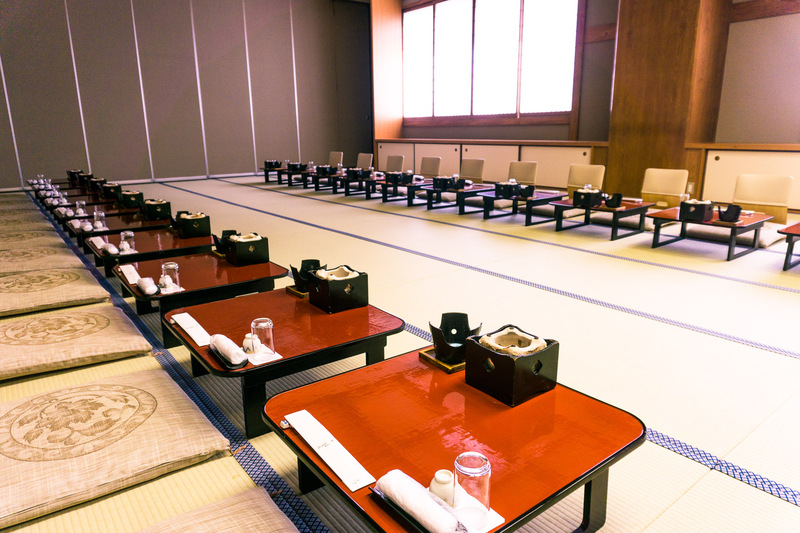 There are many dining options in the town of Kinosaki Onsen but if you are wanting to enjoy your stay a traditional Japanese ryokan completely we recommend trying the dining options that Nishimuraya Hotel Shogetsutei offers, such as their Kaiseki-style in-room dining. 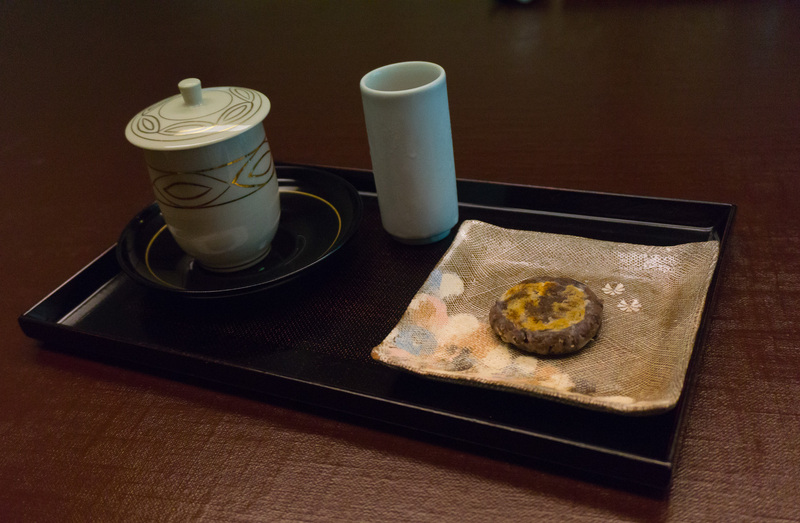 Since we had this experience before at Nishimuraya Honkan we chose to spend more time in town and grab a quick meal at one of the local restaurants but if you have never had kaiseki it is one-of-a-kind! 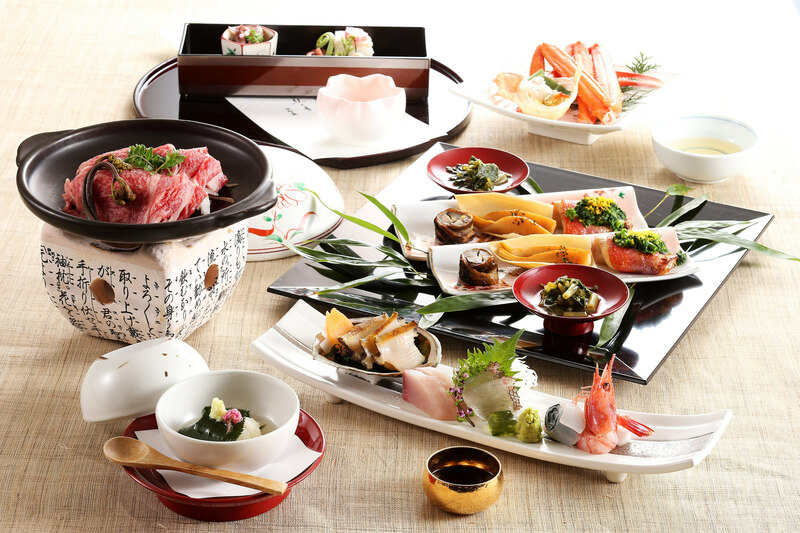 Kaiseki is a traditional multi-course Japanese-style of dining. It often includes a variety of small plates and fresh, local ingredients. 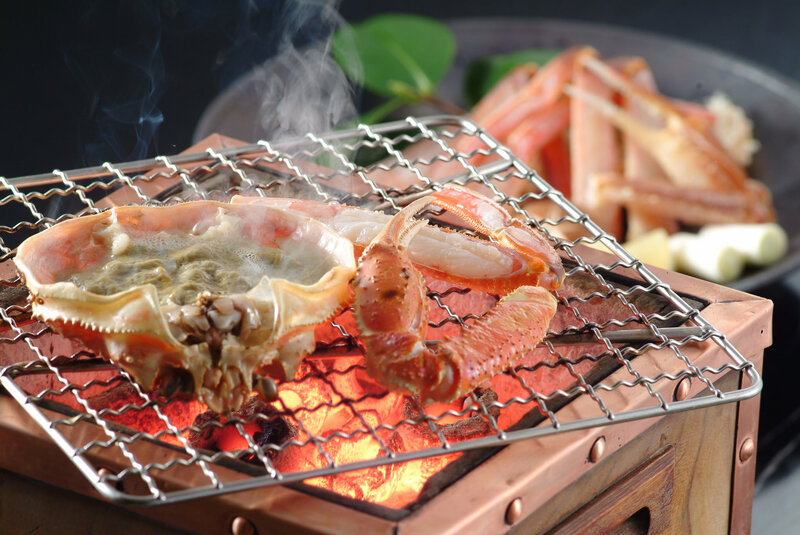 Typically it begins with an appetizer, followed by sashimi, a simmered dish, a grilled dish and a steamed course. At the end of your meal, you will usually have a light dessert (in our experience it has been fruit or a jelly pudding). At Nishimuraya Hotel Shogetsutei there are a few highlights to their kaiseki dining including the seasonal Matsuba Crab (available November 7-March 31), the Kasumi Red Snow Crab (available mid-September- early November and early April-late May), and Tajima Beef which is offered year-round an a specialty of the area. 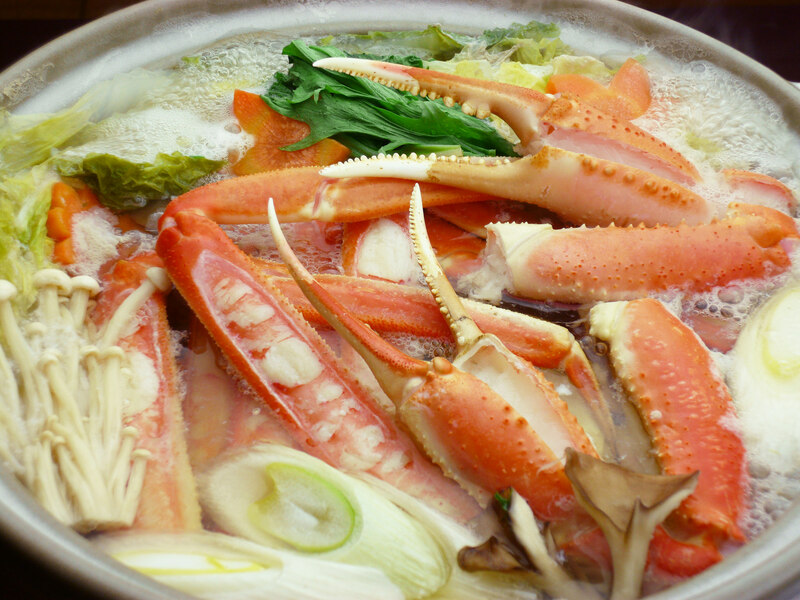 Many people plan to visit Kinosaki Onsen during crab season due to its popularity and limited availability so if plan accordingly and book early should you want to do the same! 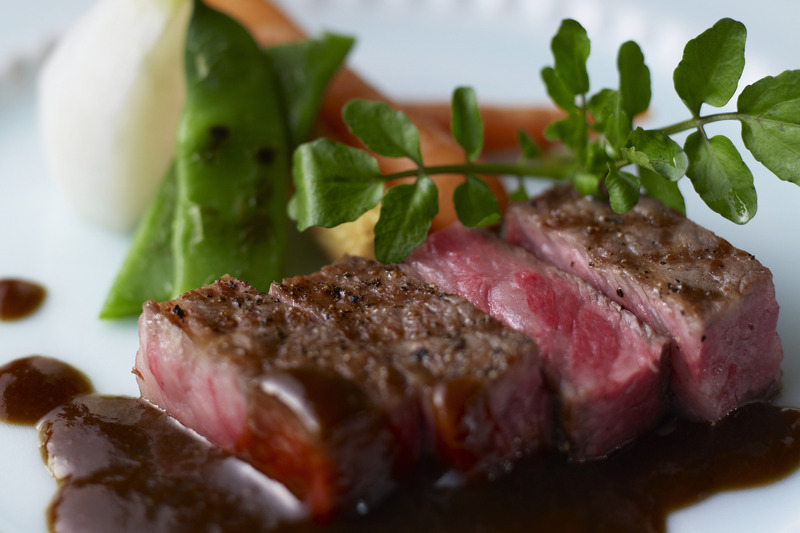 Another dining option at Nishimuraya Hotel Shogetsutei is Restaurant Ricca which is a Western-style restaurant and features course meals and seasonal cuisine including the Matsuba Crab and Tajima Beef. This is perfect for those who may not want a larger course meal and would prefer to eat in the restaurant setting instead of their room. 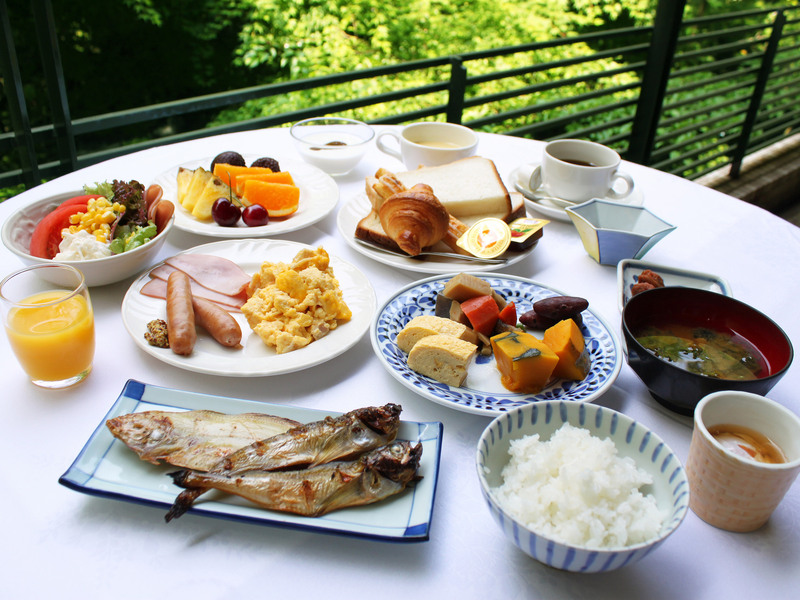 In the mornings at Nishimuraya Hotel Shogetsutei, you can enjoy a hybrid of Western and Japanese-style foods at their elaborate breakfast buffet. 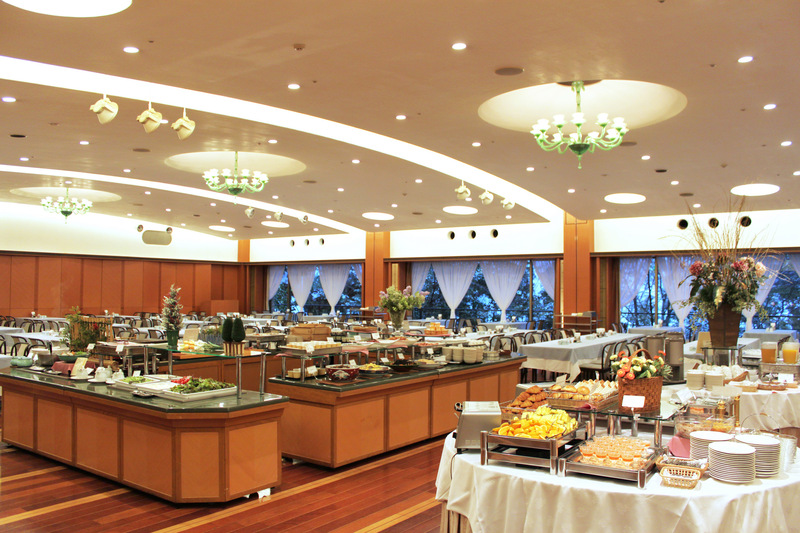 The buffet is served in the mornings until 9:30am and has plenty of seating for all of their guests. The nice thing about the breakfast buffet is that it allows you to try a variety of different Japanese foods that you might not try otherwise. We feasted on delicious grilled fish, fresh fruit and juice, soba, and local vegetables. Of course, if you would prefer to have a Western-style breakfast over a Japanese-style breakfast there are many different pastries, toast, cereal, scrambled eggs, breakfast meats, and more to choose from. 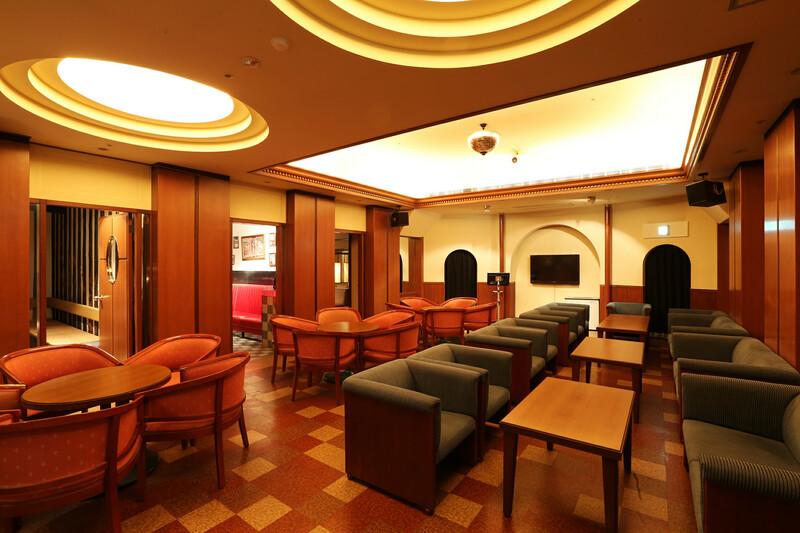 Last, should you want to host a business reception, large family gathering, wedding, or party at Nishimuraya Hotel Shogetsutei you can choose to rent one of the banquet rooms or halls. The largest banquet halls can even accommodate up to 200 people! Yukata are a traditional light cotton robe that is often worn in the summer months and by the guests staying at an onsen ryokan. During the colder months, you can wear a heavy jacket over your yukata called a tanzan. 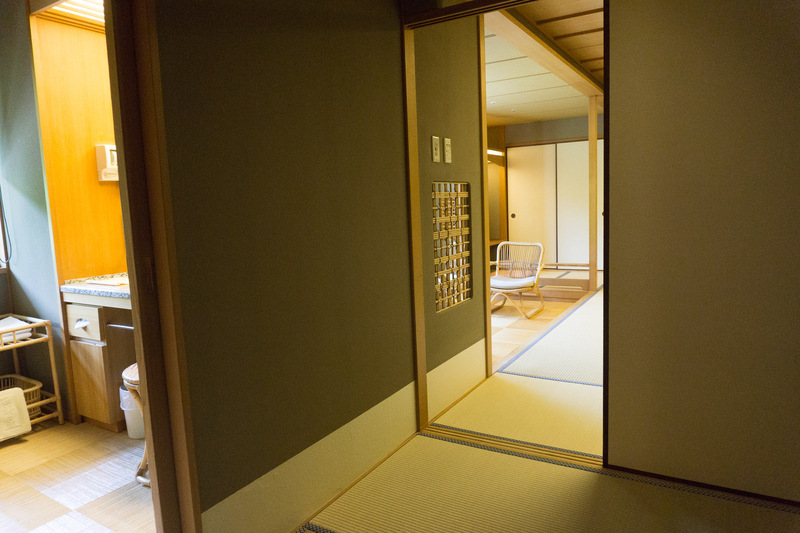 Guests of Nishimuraya Hotel Shogetsutei are encouraged to wear their yukata in the ryokan and/or outside while roaming the streets of Kinosaki Onsen if they wish. Yukatas are comfortable and very convenient if you are planning to visit the public hot springs. Each ryokan in town has unique yukata design, so if you get lost or need directions most locals know what direction to point you in just based on your yukata! Nishimuraya Hotel Shogetsutei also provides traditional Japanese footwear called seta to wear while inside the hotel, and geta (wooden sandals) to wear outside the hotel. Wearing the traditional footwear completes the look but feel free to wear your regular outside shoes if you wish. Keep your undergarments on and put your arms through the sleeves and leaving it draped open. After, fold left over right to close the yukata. It is important to wear your yukata left over right (as right over left is reserved for funerals) and to keep the top closed tightly around your neck and chest. The bottom of your yukata should be just above your ankles. If the weather is cool outside you may elect to also put on a tanzan (full-length heavy coat). For women, you will have two different belts. The smallest one will be tied tightly around your waist to keep your yukata shut. The thicker obi belt (for women and men) will be wrapped around your waist two or three times. If you wish, you may also put on the hanten jacket (half-length coat). 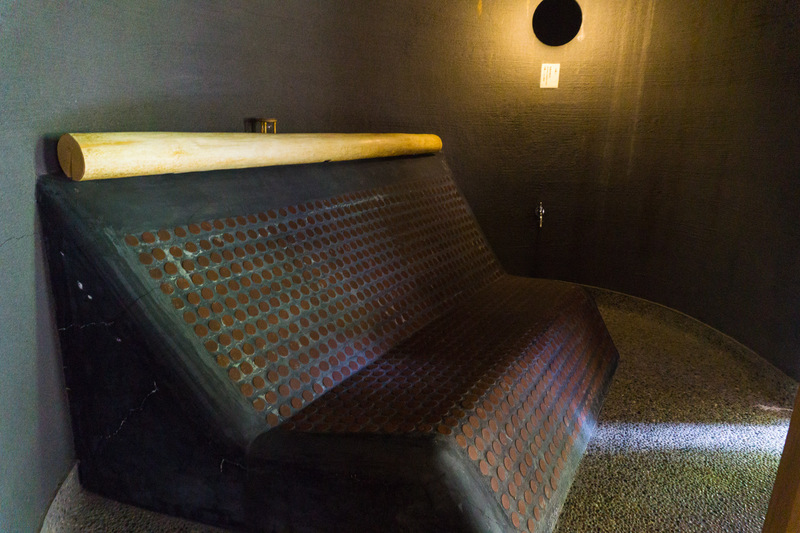 Since you are staying at a luxury Kinosaki Onsen ryokan consider treating yourself to an aroma treatment massage course at Relaxation Salon Fuka. 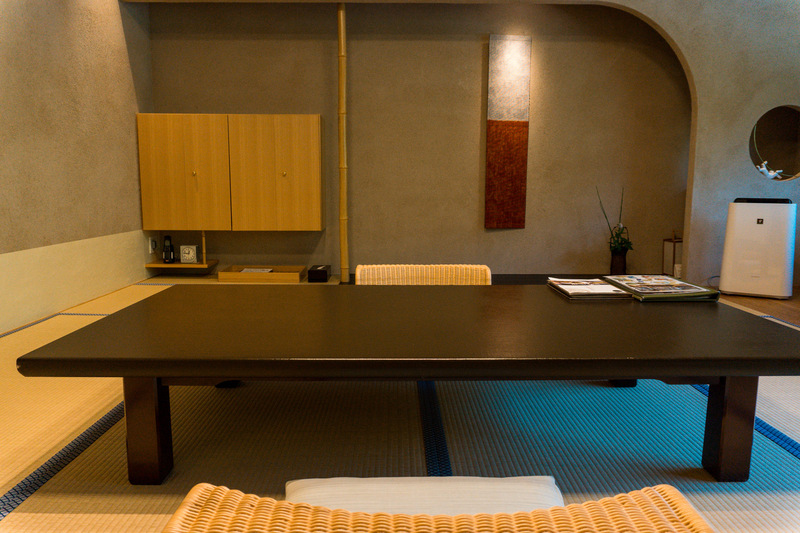 Relaxation Salon Fuka is located on the 3F of Nishimuraya Hotel Shogetsutei next to the private onsen spas. 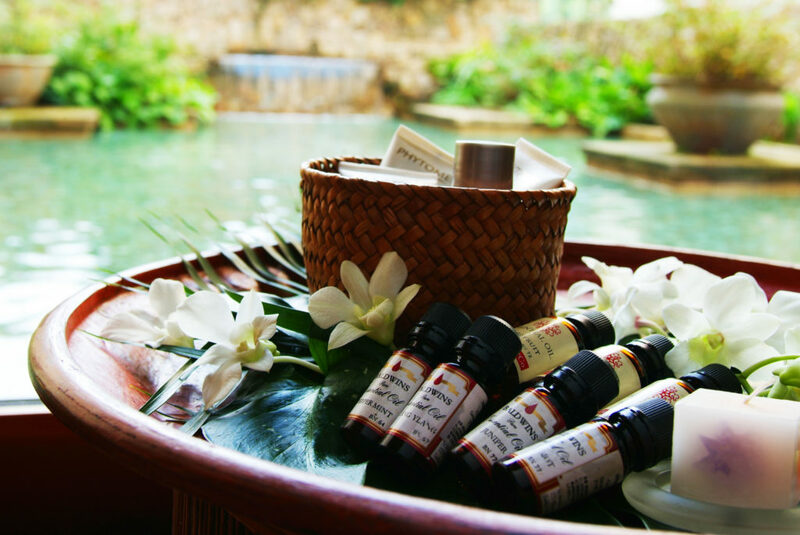 You can select a variety of treatments at the spa or opt for an in-room massage treatment as well. No bathing suits or undergarments are allowed in the onsen – yes, you simply wear your birthday suit! 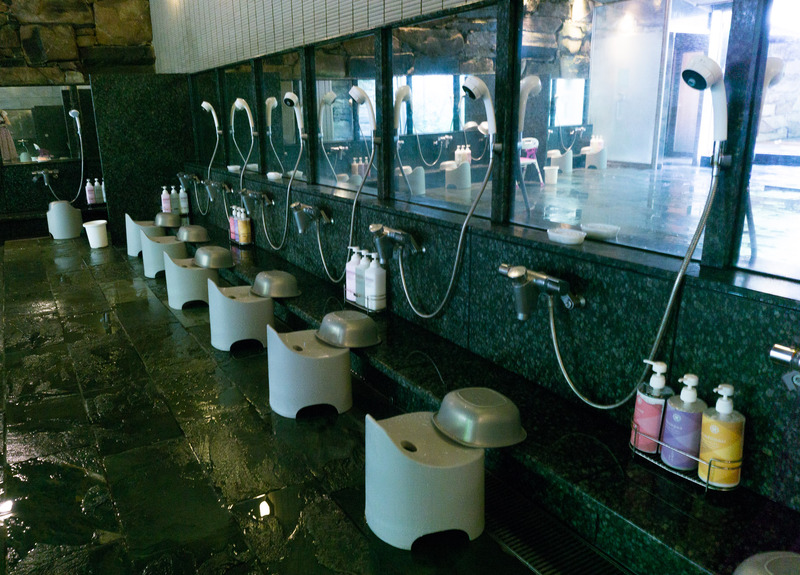 Absolutely no cameras or cell phones are allowed in public onsen. Before entering the onsen it is important to shower first. 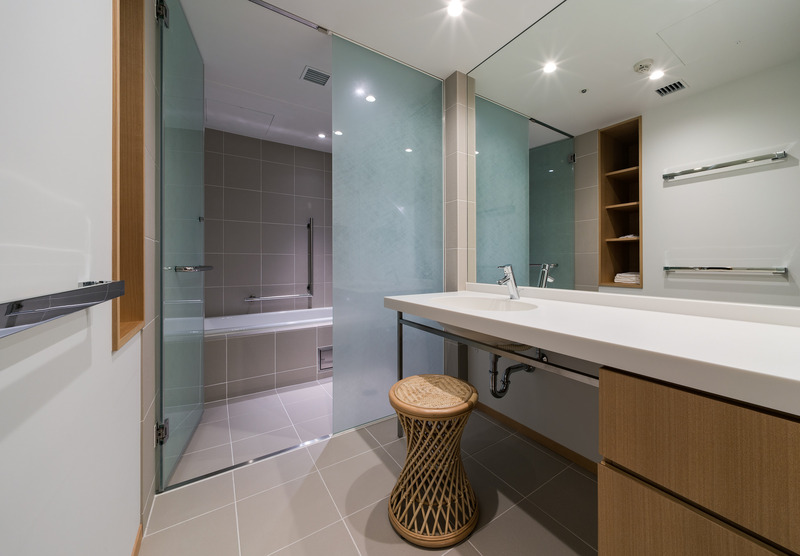 You may notice that in the shower area there are stools to sit on. Do not shower standing as it may spray water on someone bathing next to you. Make sure to rinse off all soap before entering the bath. Some people prefer to keep their wash towel and place it on their head when entering the onsen. This is okay to do, but make sure that you do not let your towel touch the water. If you have long hair, put it in a high ponytail or bun as it should not touch the water as well. 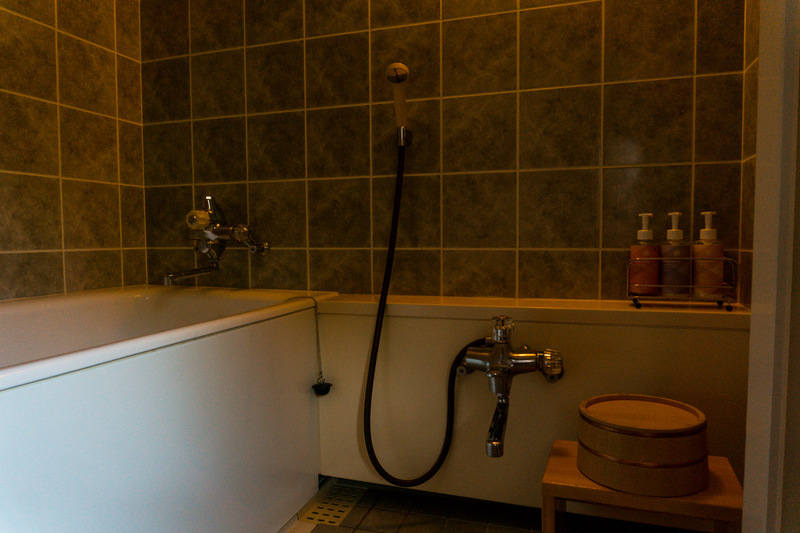 While enjoying the onsen move slowly and speak quietly to ensure you are not disturbing other guests. Onsen are a place to relax after all! Drink water! Onsen baths are hot! It is important to make sure you are staying hydrated. Nishimuraya Hotel Shogetsutei has the largest hotel onsen baths in the area due to the size of the hotel. 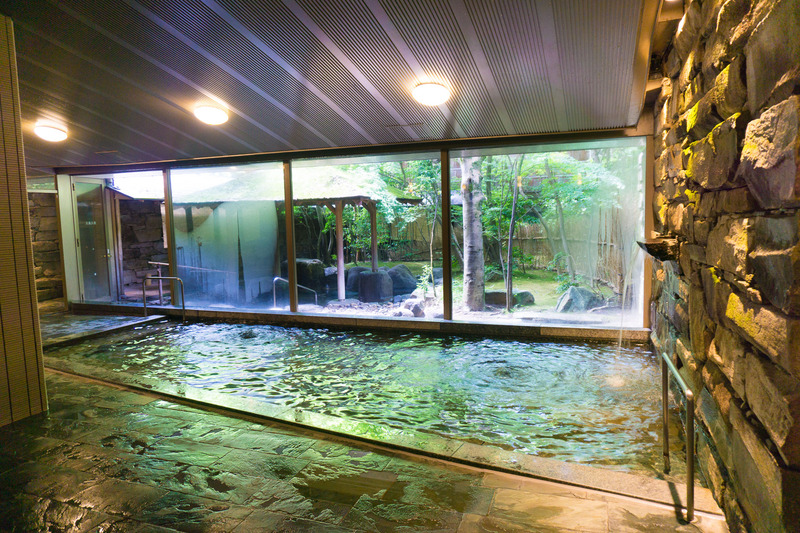 The two onsen areas are separated by gender but both feature an indoor bath, outdoor bath, jacuzzi bath, and mist sauna. 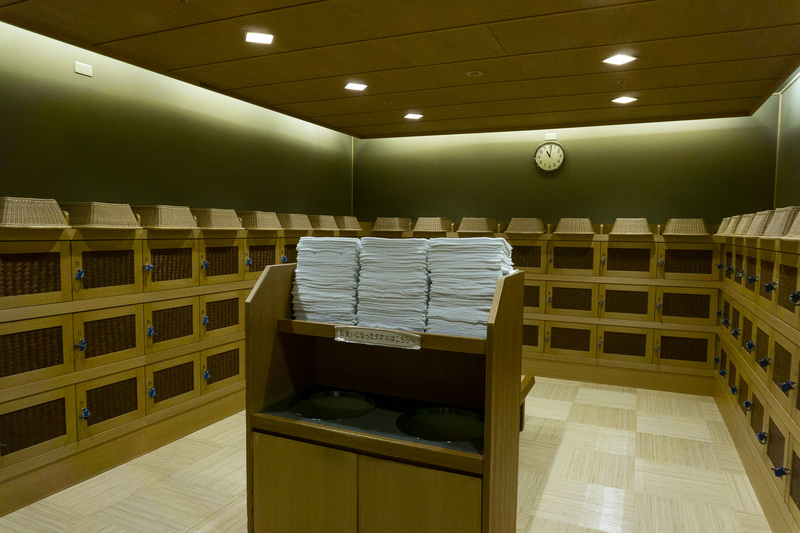 When walking into the onsen area you will see a resting area that has complimentary juice and tea (inside the locker room is complimentary water as well). 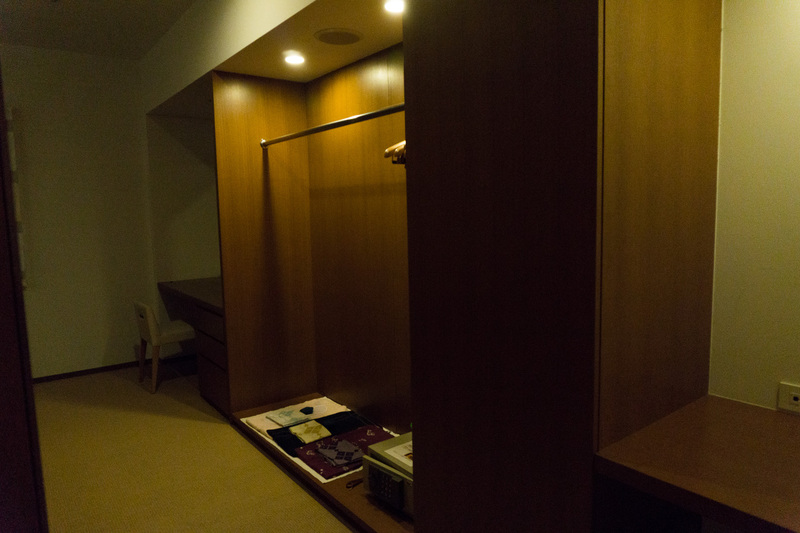 You will then enter your gender specified onsen area and select a locker to store your clothes or yukata. No need to worry about bringing the towel from your room or any toiletries, they are all provided for you! At Nishimuraya Hotel Shogetsutei there are three open-air private onsen with a stunning mountain view that you can reserve. 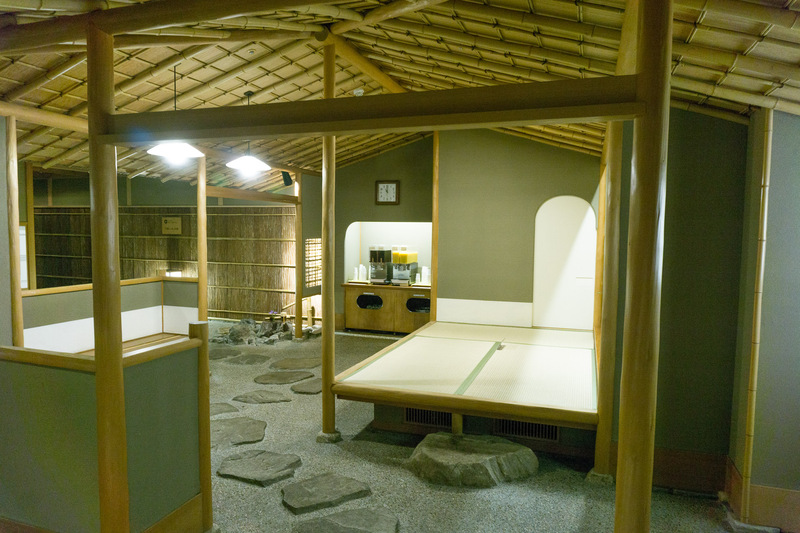 All of the private onsen feature a large onsen space and a sit-down or lay down rock sauna. 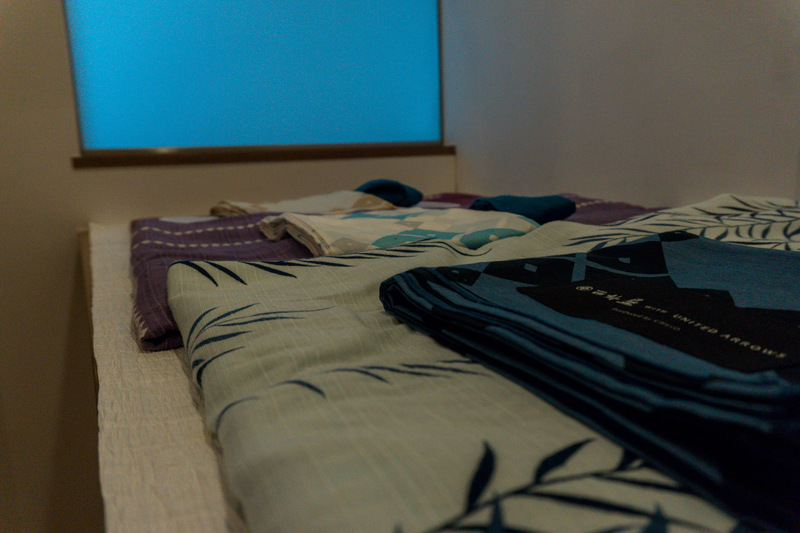 All towels and other amenities are provided as well as mineral water and sparkling wine. 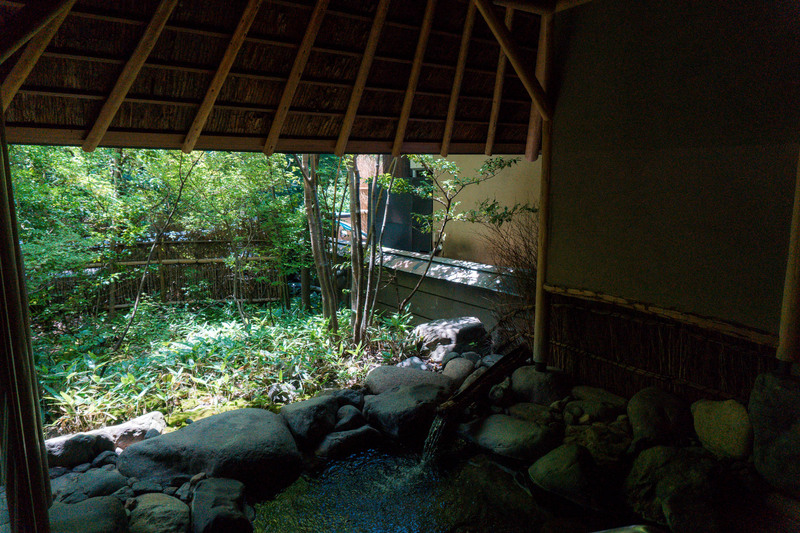 While we were able to view each of the private onsen at Nishimuraya Hotel Shogetsutei, we utilized the Gingetsu Japanese Style Private Onsen (see more below). While we would have loved experiencing any of the private onsen that Nishimuraya Hotel Shogetsutei has to offer, we chose the Gingetsu Japanese Style Private Onsen simply because we were staying at a Japanese ryokan hotel. We were told that the private Japanese onsen is actually very popular with foreign tourists whereas the Balinese and Chinese onsen are more popular with domestic tourists. 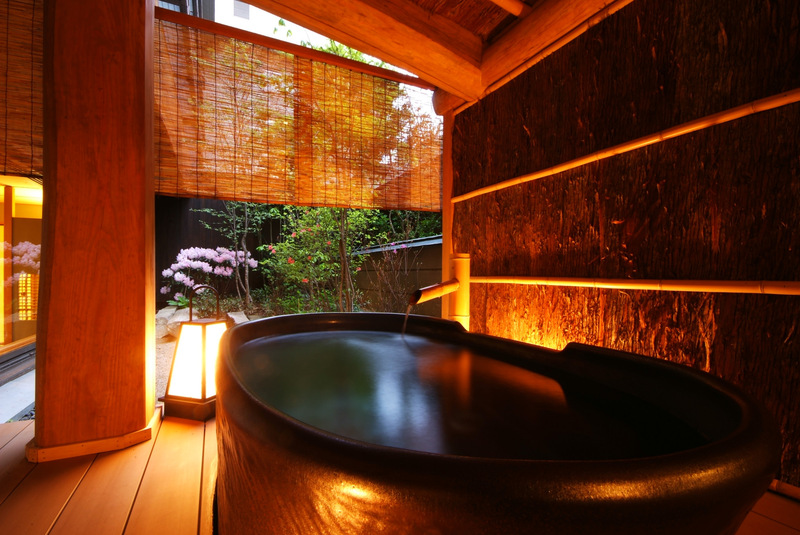 Regardless of which private onsen you choose you are sure to enjoy the experience. We had time to relax in the onsen, rock sauna, and sip on sparkling wine while enjoying the mountain view during our 70-minute session. 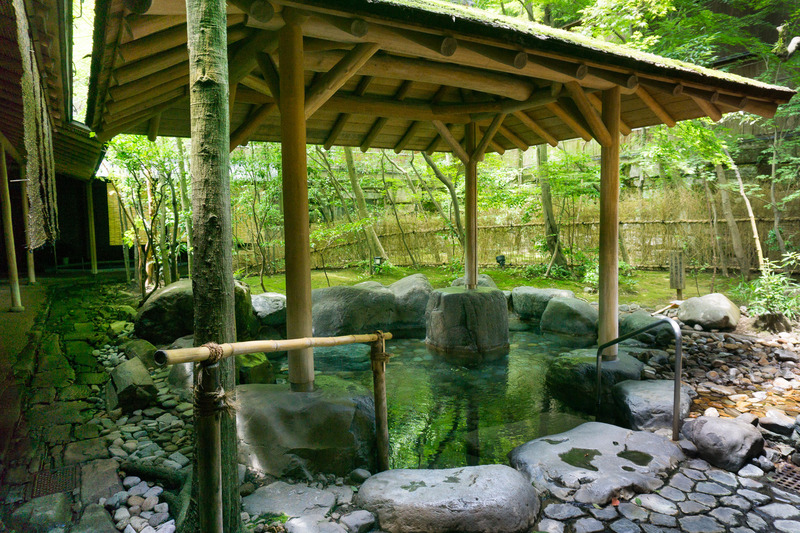 In case you haven’t had enough time in the onsen (I know we personally couldn’t tire of them!) 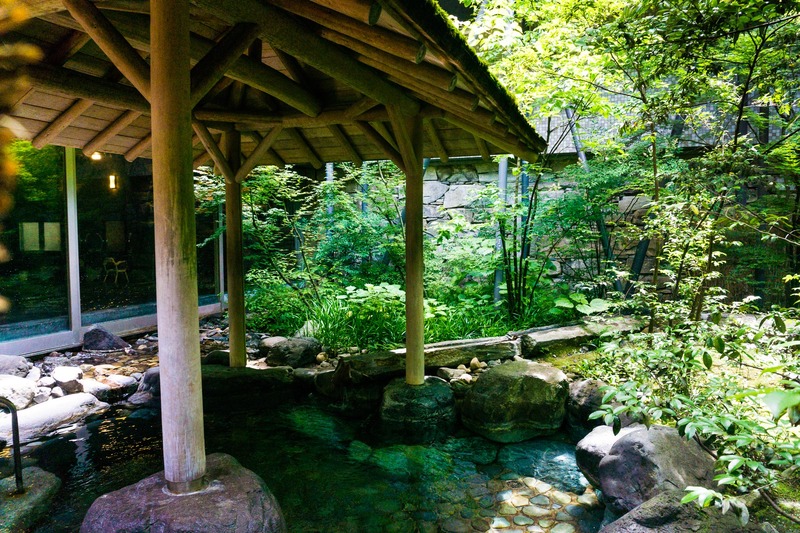 there are also seven public onsen in town that you can enjoy when you are a guest at Nishimuraya Hotel Shogetsutei or Nishimuraya Honkan. Upon checking in to the ryokan you will receive a pass that allows you to enjoy the seven public onsen in the town free of charge. When visiting these onsen you can take a tote bag from the reception area with your towel or any other items you might want to take with you while onsen hopping. Each of the public onsen in town are different from one another, some even having foot baths to enjoy if you need a break from the heat! After relaxing at the public onsen you can walk back to Nishimuraya Hotel Shogetsutei. 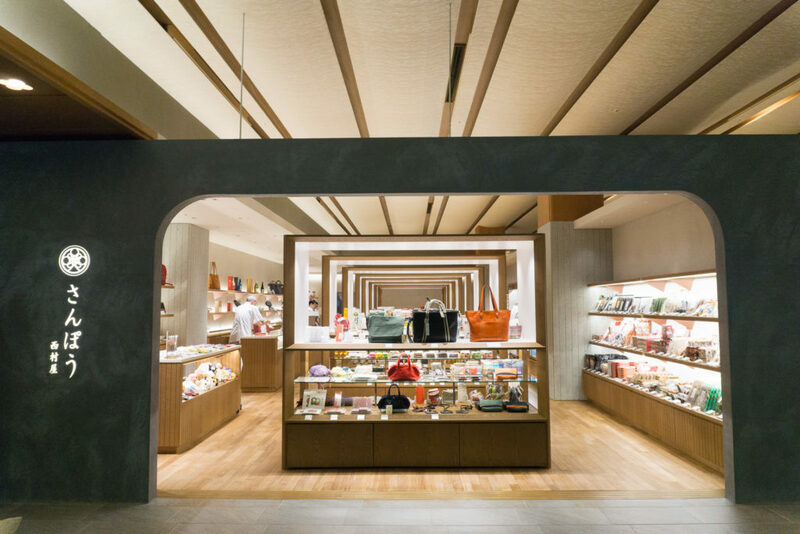 On the first floor of the hotel, there is an expansive gift shop that was recently remodeled in 2017 and offers a variety of locally made or sourced gifts, snacks, drinks, and more. Kinosaki Onsen is well-known for their purses and bags even having a history of crafting wicker bags for the Emperor! Straw goods are unique to Kinosaki Onsen though very few people still work in this trade, there are currently only 3 artists in Kinosaki Onsen! Needless to say, purchasing a straw craft item would be an excellent gift for a family member, friend, or even yourself as a momento from your trip. 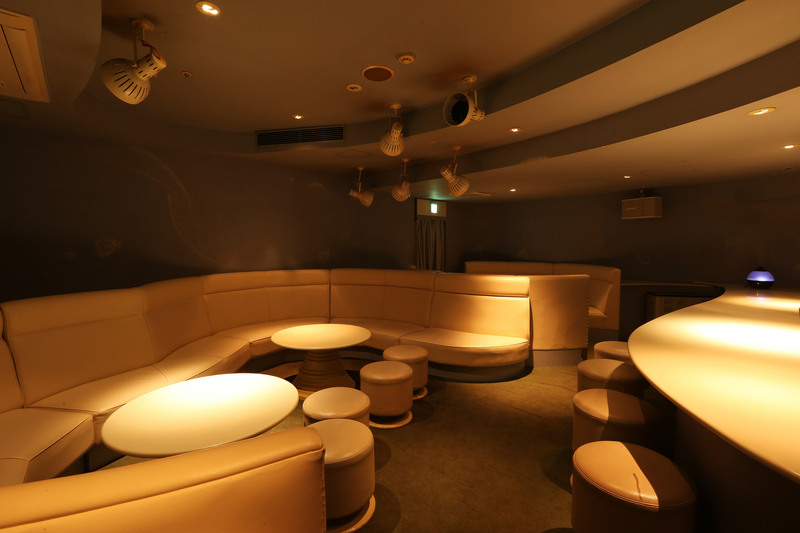 A karaoke bar and lounge inside a luxury hotel? You bet! 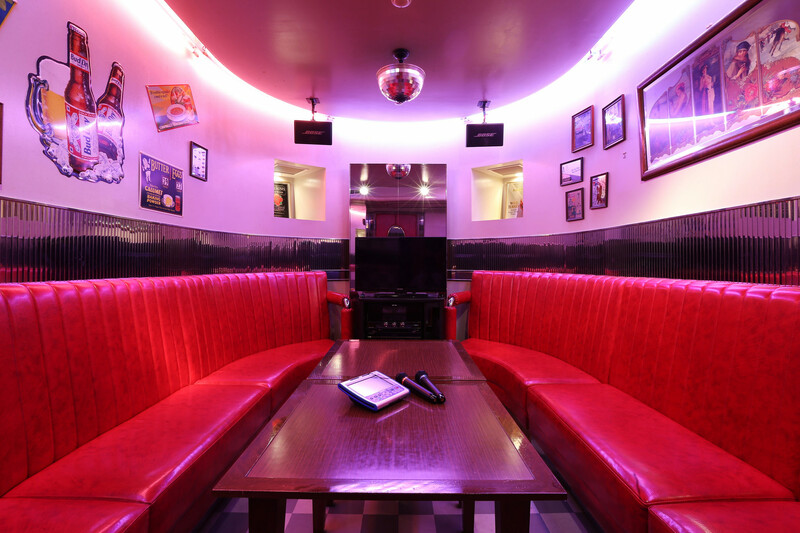 Nishimuraya Hotel Shogetsutei has a public karaoke room as well as a reservable private karaoke room. Join the fun in the evening time from 8p-12am or even reserve the private room for your family or friends should you be visiting with a large party. *Please note: The above prices are reflected for a Japanese-style superior room, 2 persons, 1 night, service fees and current 8% consumption tax included. If you would like to visit the town of Kinosaki Onsen after checking in and walk around in your yukata, shop and dine, or visit some of the public hot springs in the towns, Nishimuraya Hotel Shogetsutei makes it easy to do so from the hotel. Each day there is a shuttle bus at the hotel that departs every hour and half-hour from 8:30am-11:30am, 3:00pm-6:00pm, and 8:00pm-10:00pm. Kinosaki Onsen is an extremely walkable town so you shouldn’t need transportation from place to place while in town. We’re sucker’s for panoramic views and this one was even awarded one star in the Michelin Green Guide Japan! 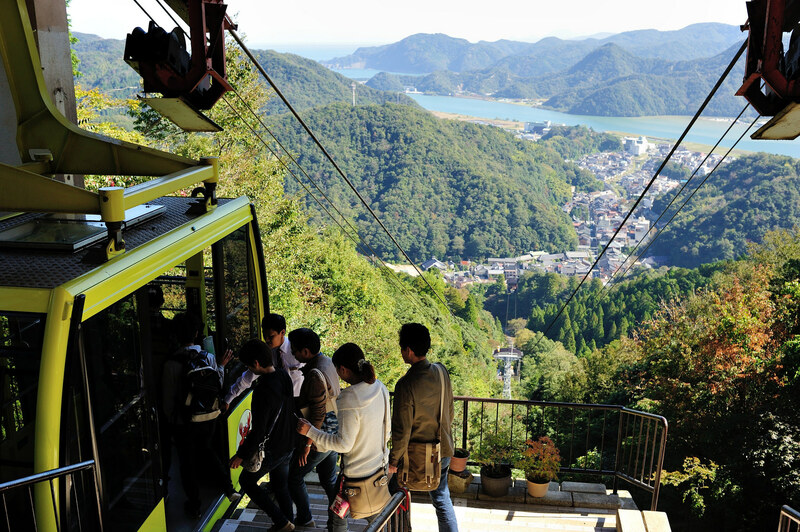 Not only is the scenic ropeway tour breathtaking, but there are many different activities to enjoy on the mountain too. Onsenji Temple was built in 738 and after a short 20-minute hike you’ll reach the main temple area which is a place of solitude at the ropeway’s middle station. History also tells us that when Kinosaki Onsen was first established and you visited you would have to travel up the mountain to Onsenji Temple to understand the proper bathing techniques, pray for permission to use the onsen and receive a special ladle to use while at the onsen. 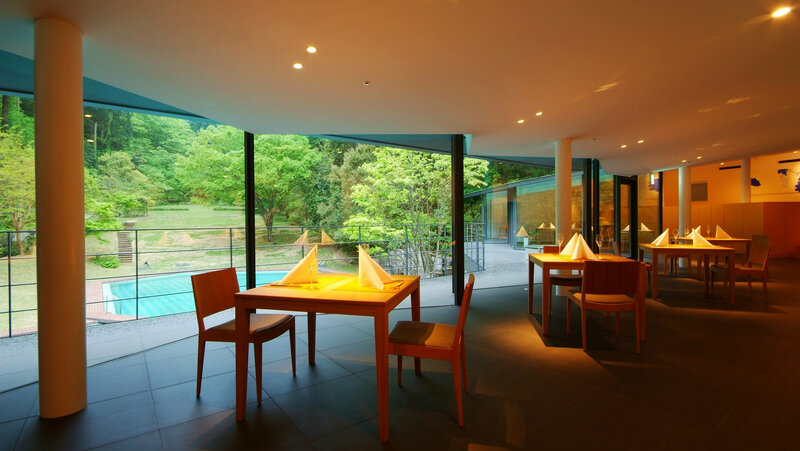 Kinosaki Onsen has many different trades, therefore, a number of art museums to visit as well. While we haven’t visited any of them personally because we always seem to run out of time but we have read that many people enjoy the Kinosaki Strawcraft Museum. It is a very intimate and small museum but as we mentioned previously, Kinosaki Onsen is known for straw crafts and it’s starting to become a lost art with very few people creating such pieces anymore. Genbudo Museum was recently reopened in early 2018 adding even more exhibits including fossils from a T-Rex, Pterosaur, and Asian Elephant. Here you can also learn about the traditional art of weaving – even weaving your own piece! Close by is the Genbudo Cave Park, a San’in Kaigan UNESCO Global Geopark that is not only a national treasure but has also been extremely important for scientists in the discovery of reverse magnetization. There are five different caves that were said to formed over 1.6 billion years ago due to a volcanic eruption that cooled and created the honeycomb pattern basalt columns. 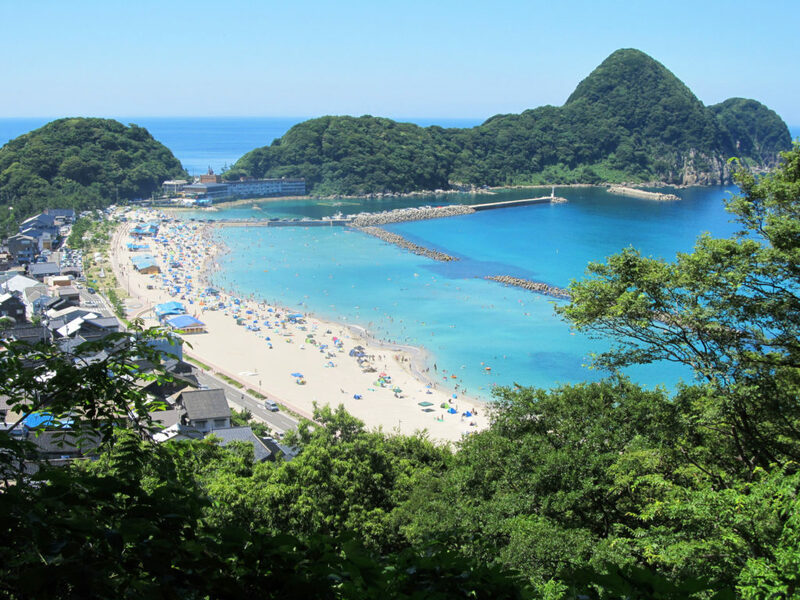 Takeno Beach is one of the most picturesque beaches in Japan. The crystal clear blue waters and soft white sand are enough to draw many visitors in each year. 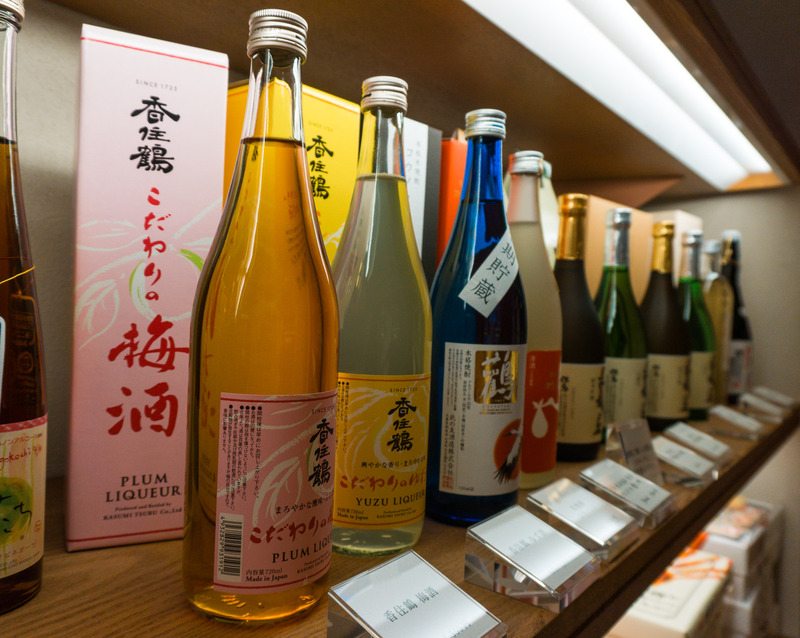 If you happen to be in Kinosaki Onsen during the summer it is another must-visit in the area! If you visit during the off-season it is also the perfect place to stroll and take in the beautiful views as well. 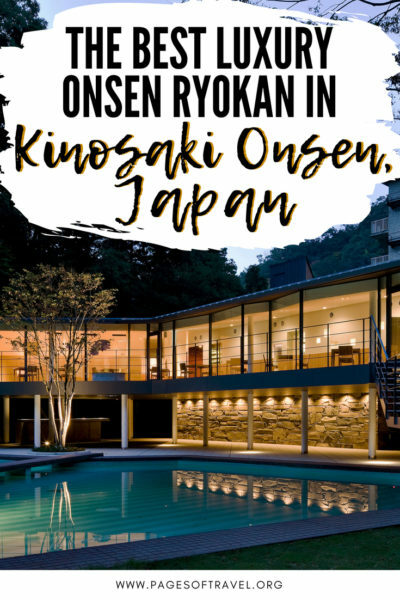 Before we further discuss our stay at this fabulous Kinosaki Onsen ryokan, we first want to tell you how to get to Kinosaki Onsen. 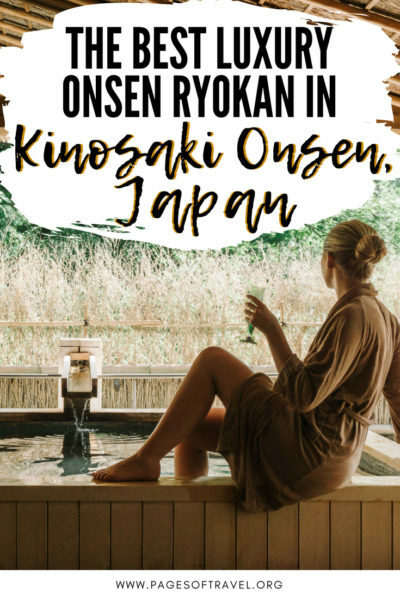 Kinosaki Onsen is located in the northern part of the Hyogo Prefecture in the Kansai Region which makes it easily accessible from many major cities in central Japan such as Osaka, Kyoto, Hiroshima, and Tokyo. The most common way to visit Kinosaki Onsen and stay at a Kinosaki Onsen ryokan is by train. On our first trip to Kinosaki Onsen, we took a bullet train from Hiroshima to Kyoto then JR trains from Kyoto to Kinosaki Onsen but there are many other routes you can take as well. 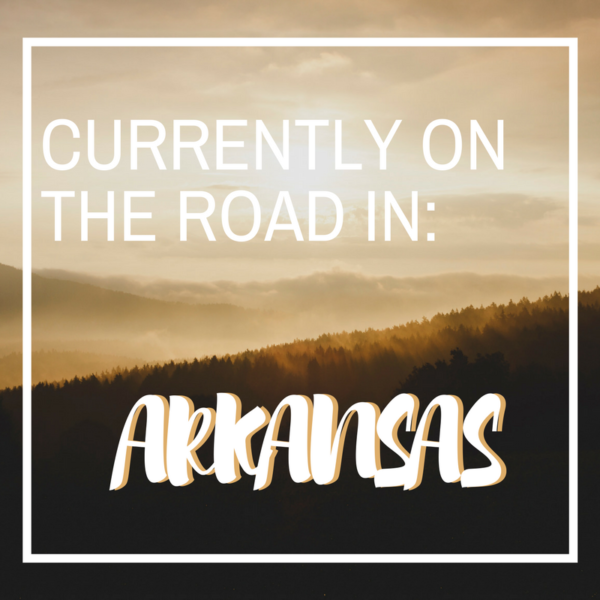 We recommend using the apps Hyperdia or Google Maps to find the best route from where you will be visiting from. 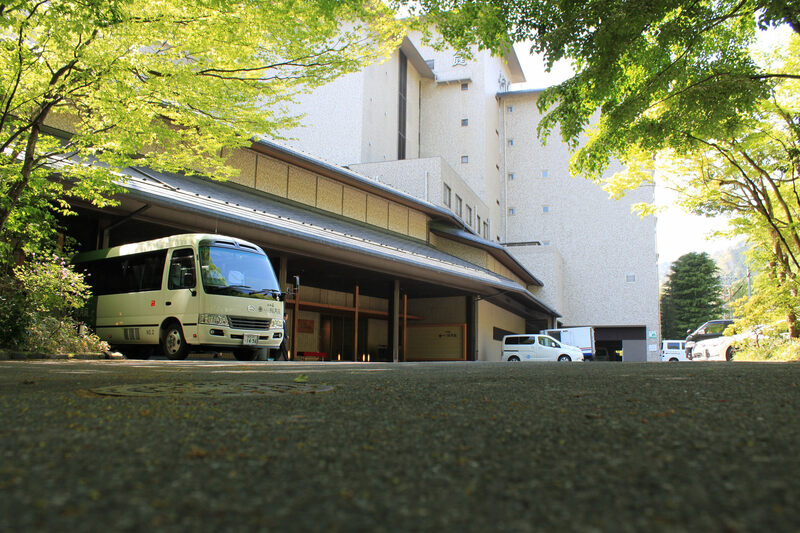 To get to Nishimuraya Hotel Shogetsutei from Kinosaki Onsen Station, the Ryokan Association of Kinosaki has a complimentary shuttle bus that is typically available upon the arrival of certain limited express trains. Be sure to contact Nishimuraya Hotel Shogetsutei to inform them of your arrival time and they will let the shuttle bus know to be expecting your arrival. We found that the easiest way to find Nishimuraya Hotel Shogetsutei in a Japanese rental car GPS is by searching the telephone number: 0796-32-3535. If you are using Google Maps or another GPS system on your cell phone you can search the hotel by name or “Kinosaki Onsen”. Kinosaki Onsen is cherished by many, even being rated by Lonely Planet Japan as the best onsen town. We had a fabulous stay in Kinosaki Onsen once again thanks to the Nishimuraya properties. We were treated royally and left feeling relaxed and pampered, ready to start the next step of our journey. 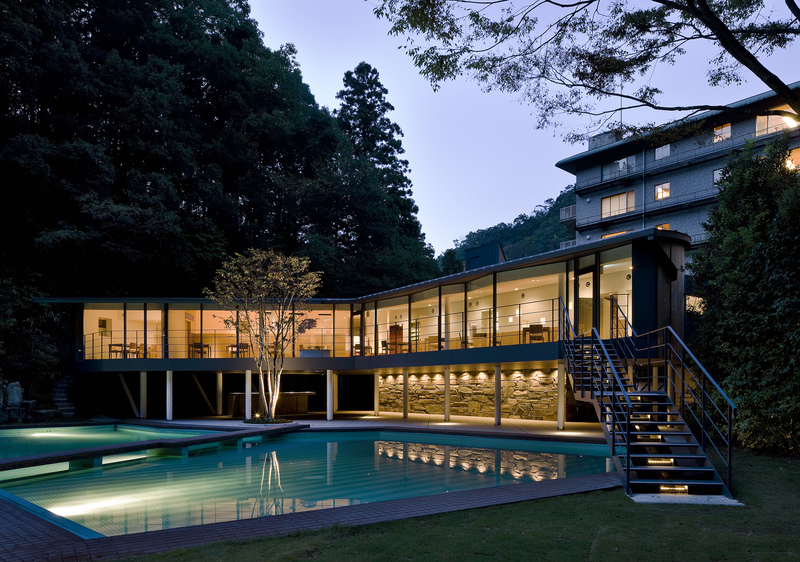 Have we convinced you to visit Kinosaki Onsen and stay at a luxury Kinosaki Onsen ryokan yet?